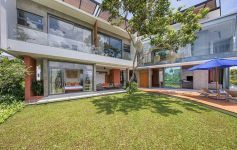 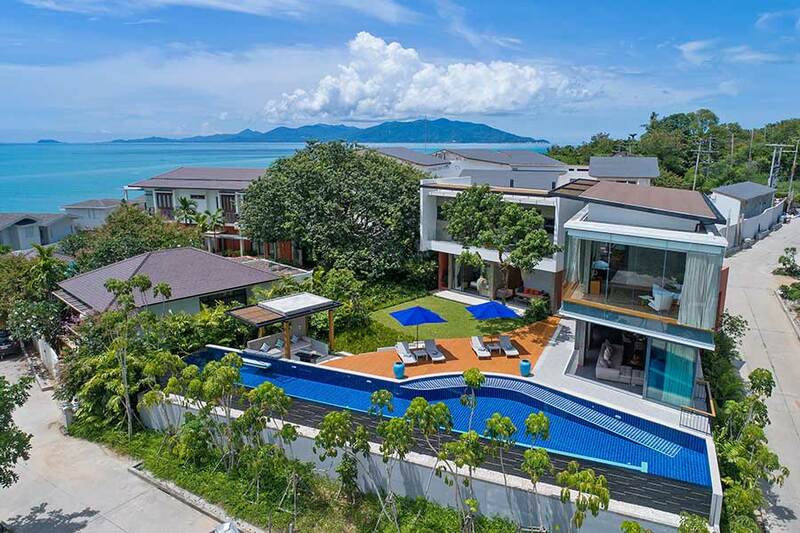 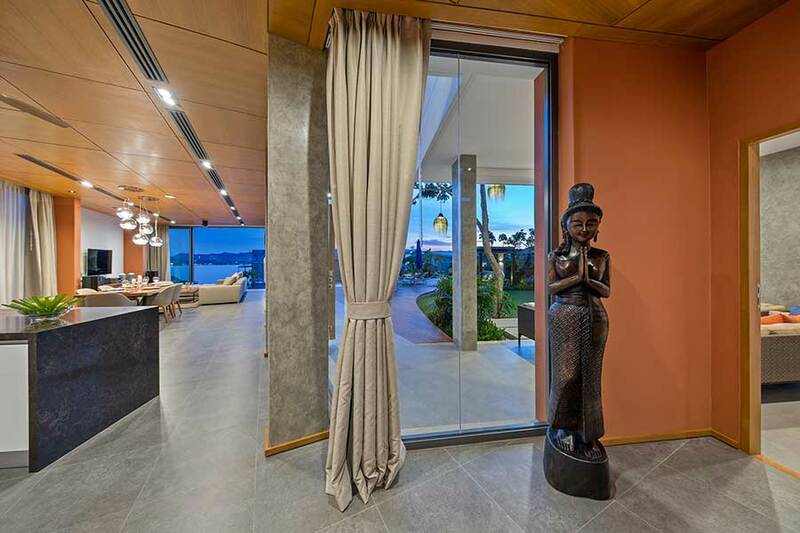 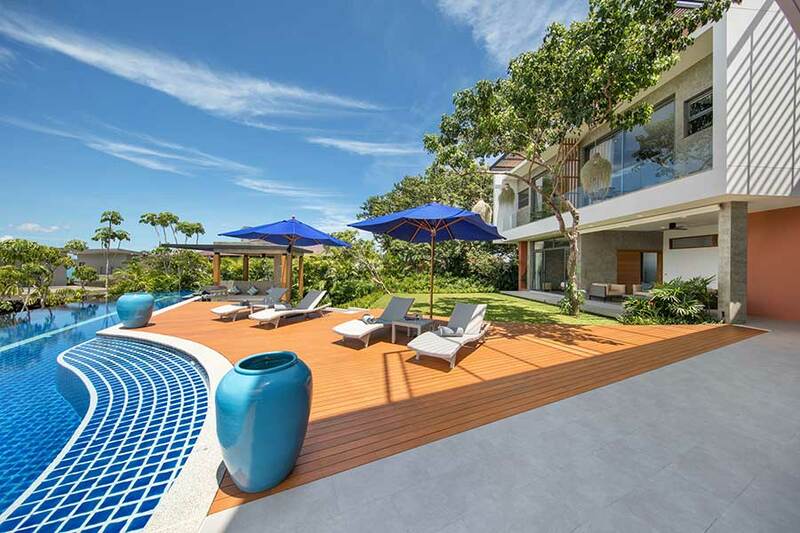 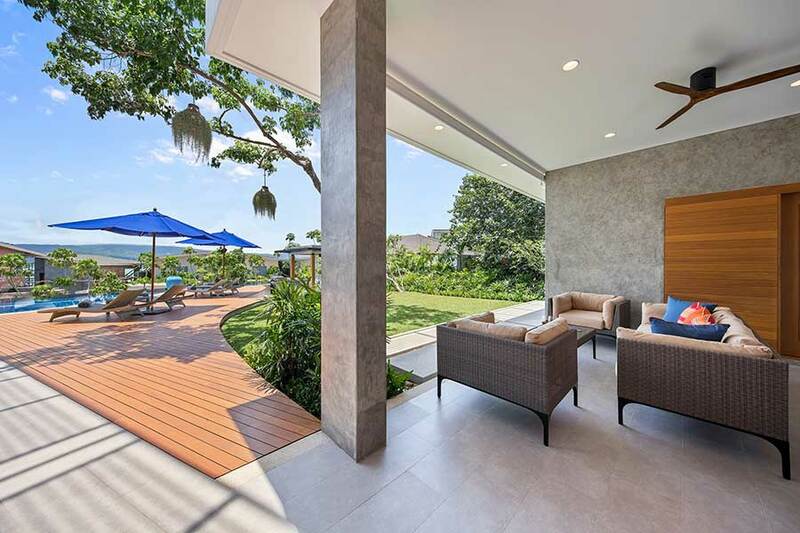 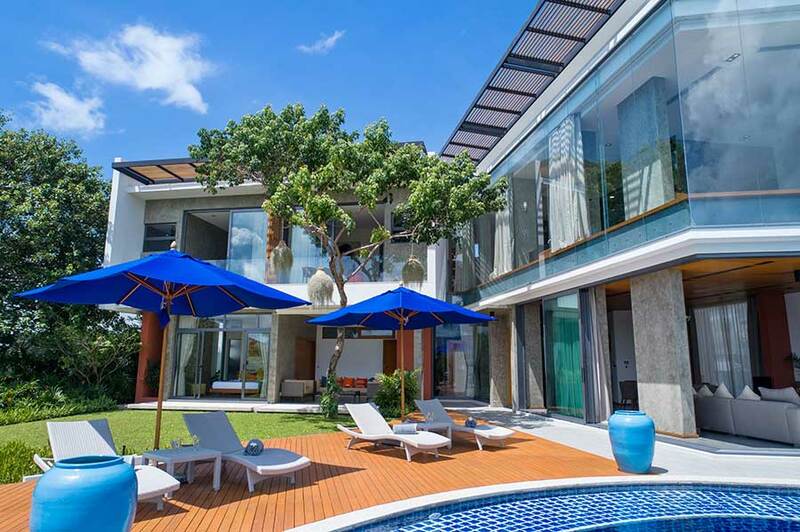 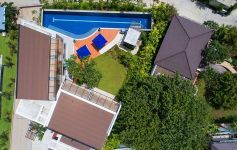 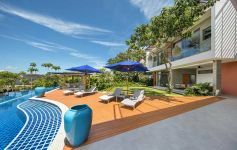 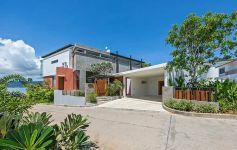 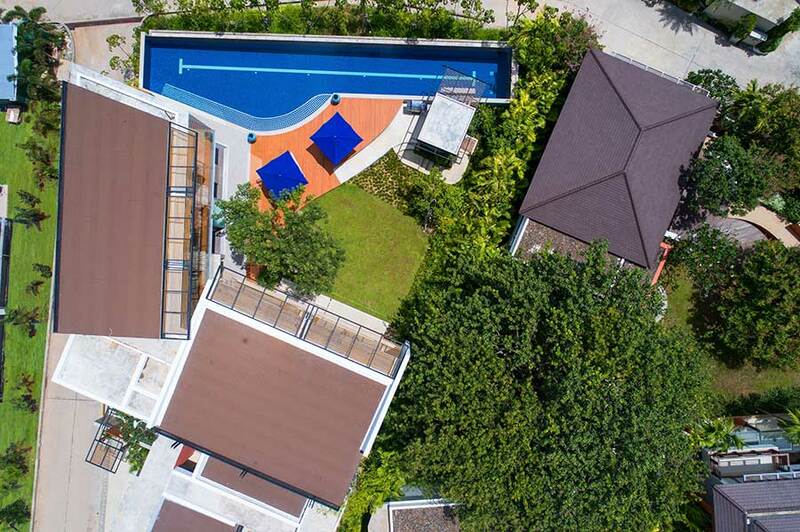 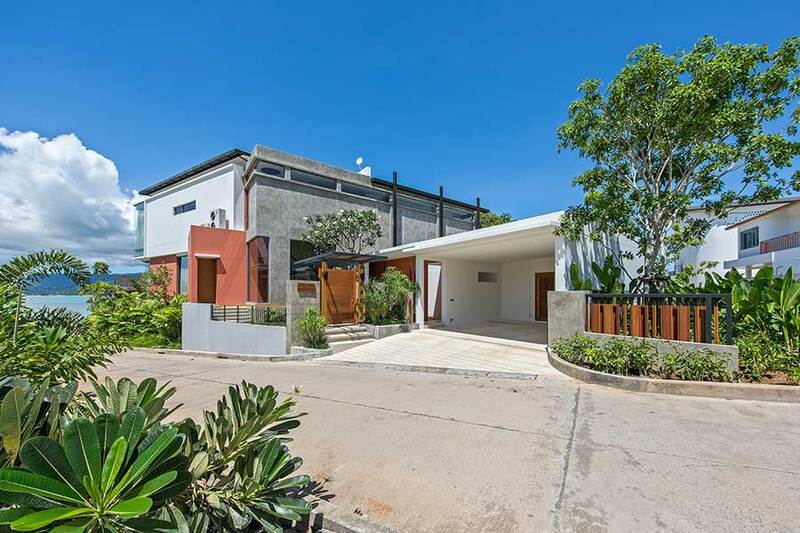 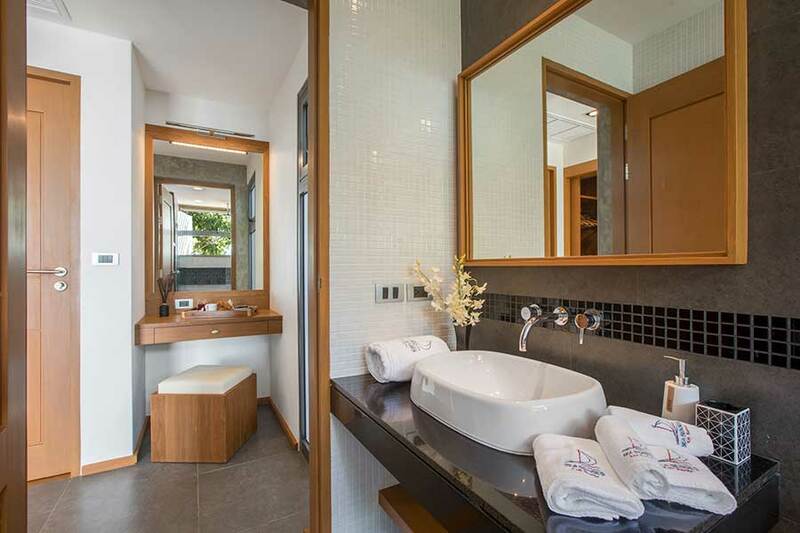 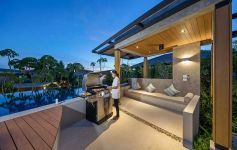 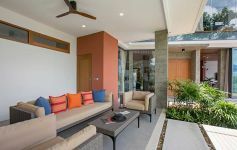 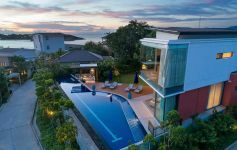 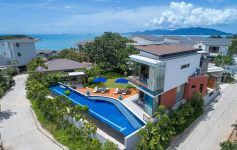 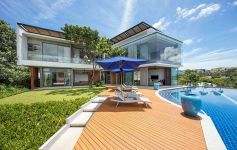 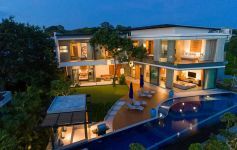 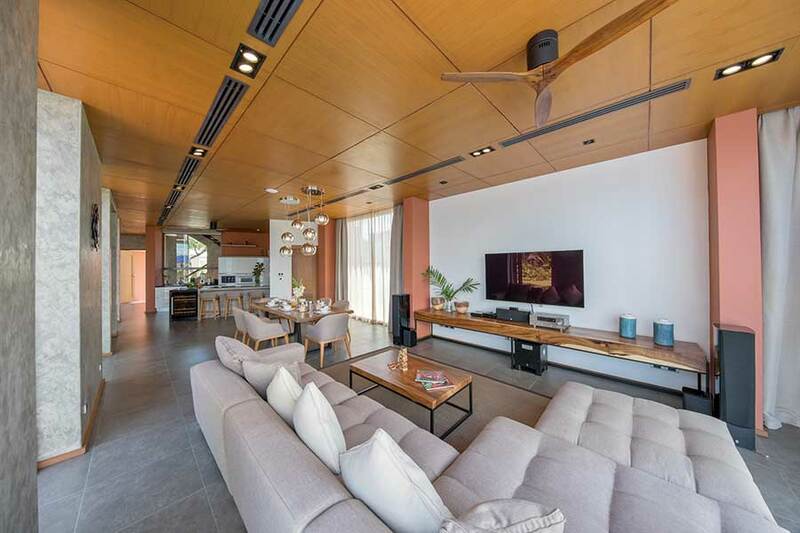 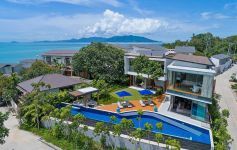 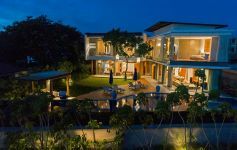 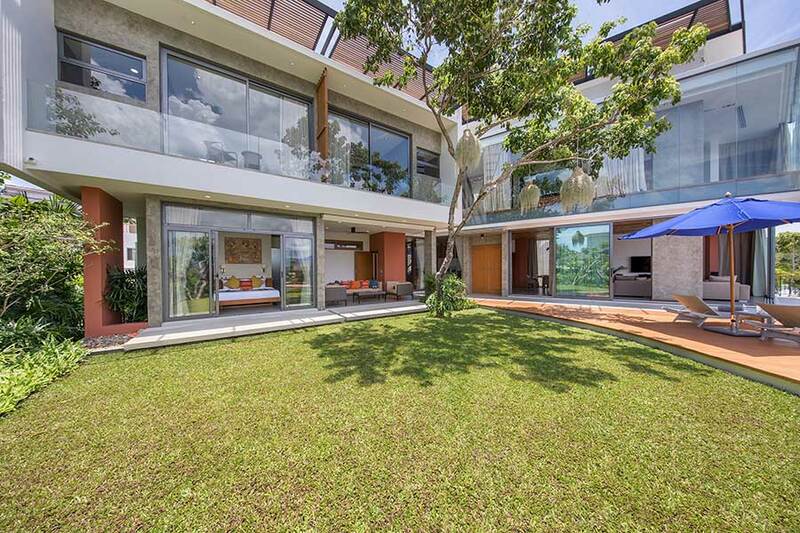 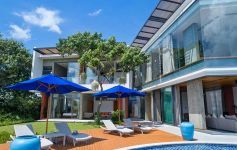 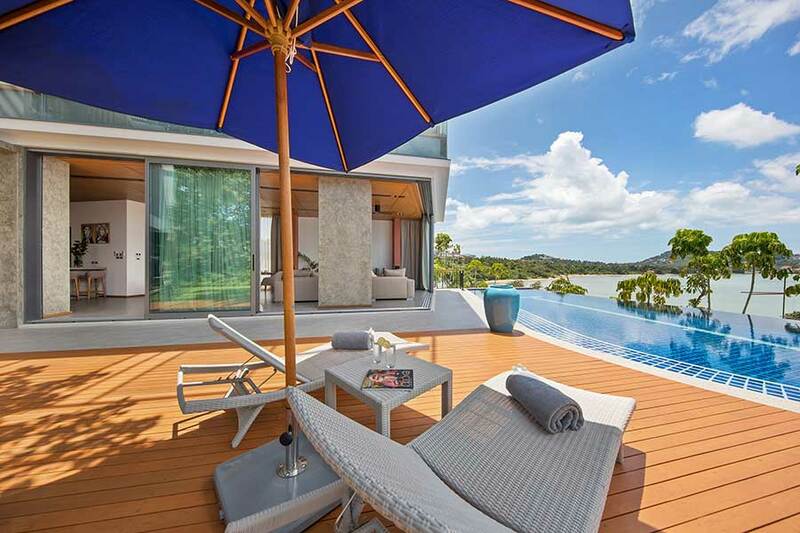 This just completed four-bedroom two level villa is in the north east of Samui and commands superb views from its enviable location on the west side and northern east most tip of the beautiful Plai Laem peninsula. 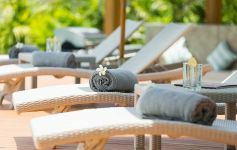 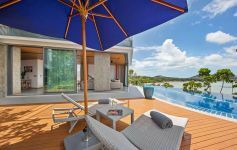 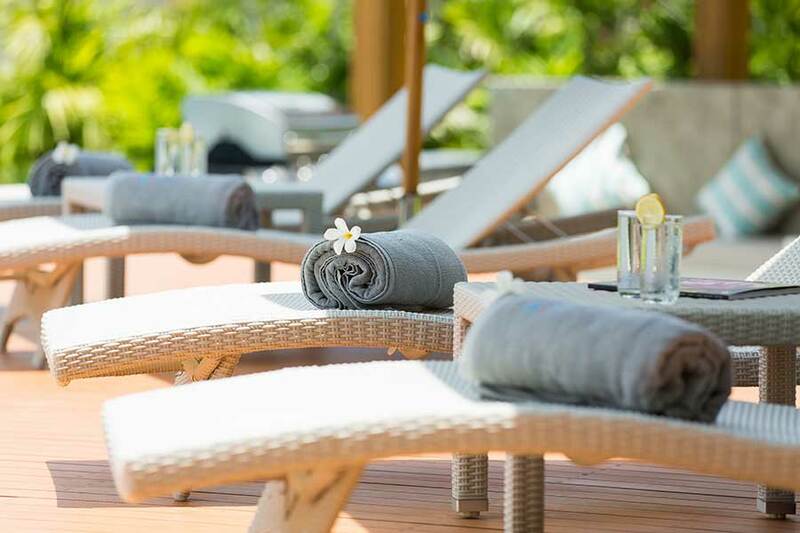 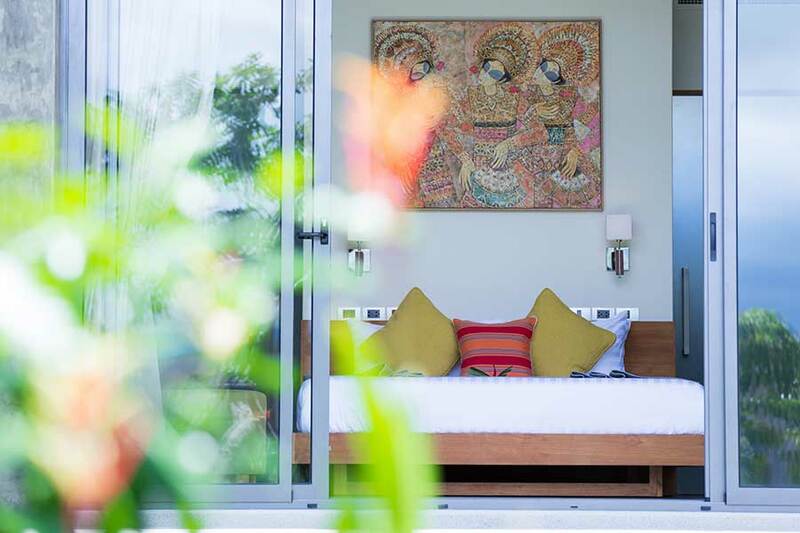 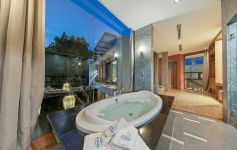 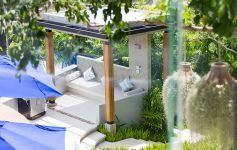 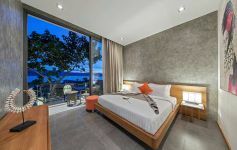 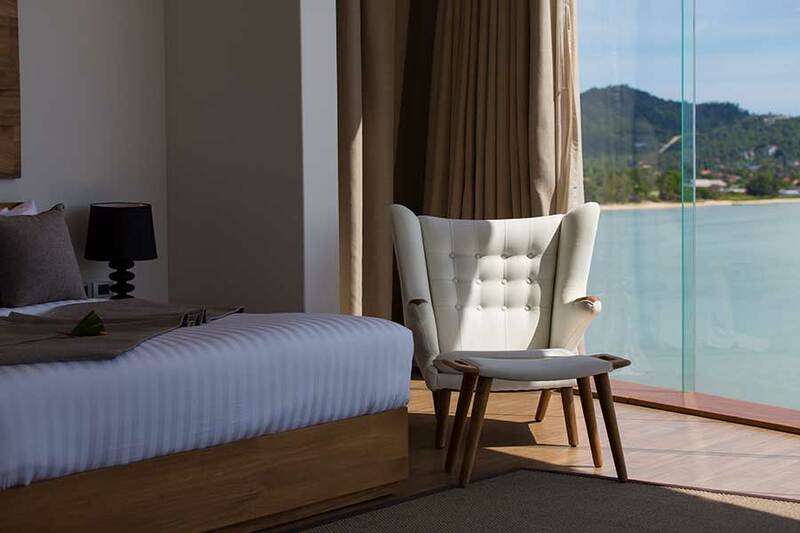 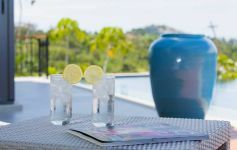 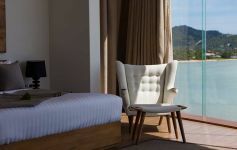 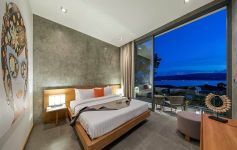 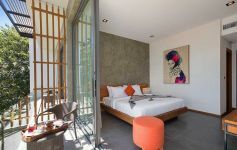 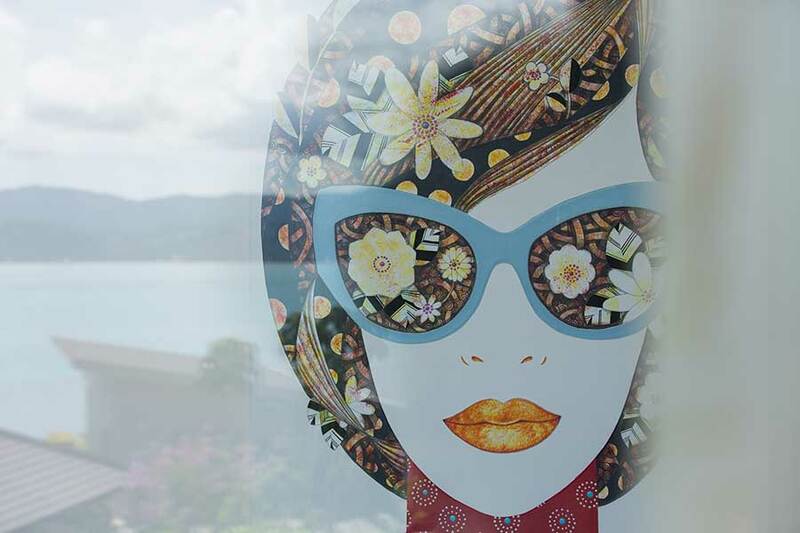 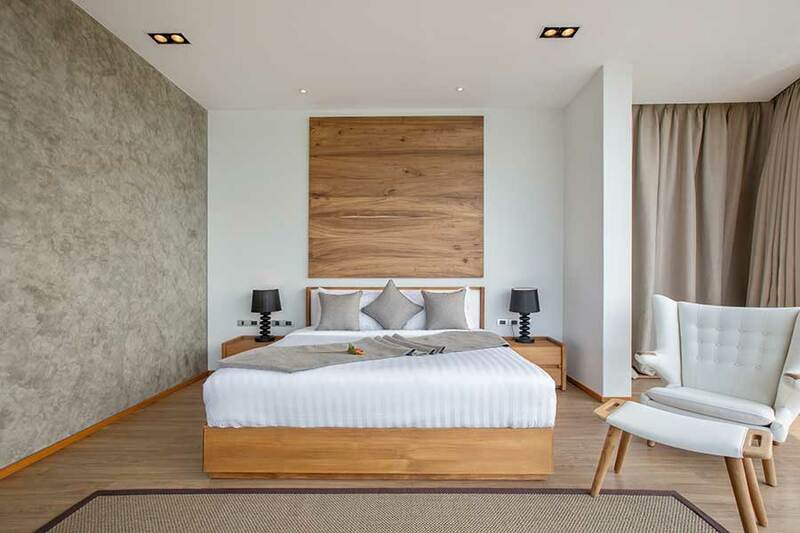 You know this is a good location when your neighbors include the top-rated hideaway resort, Six Senses Samui – one of Samui's finest and brand new Ritz Carlton Samui. 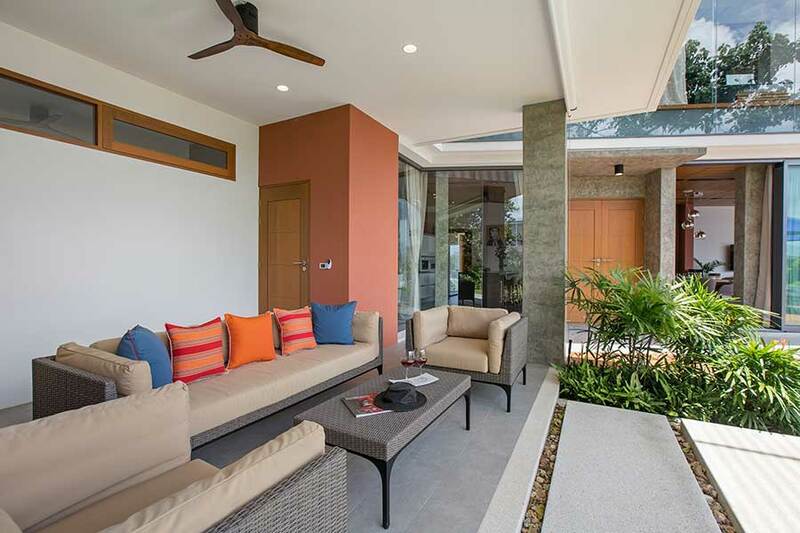 It is nestled into a small subdivision of quality villas and apartments. 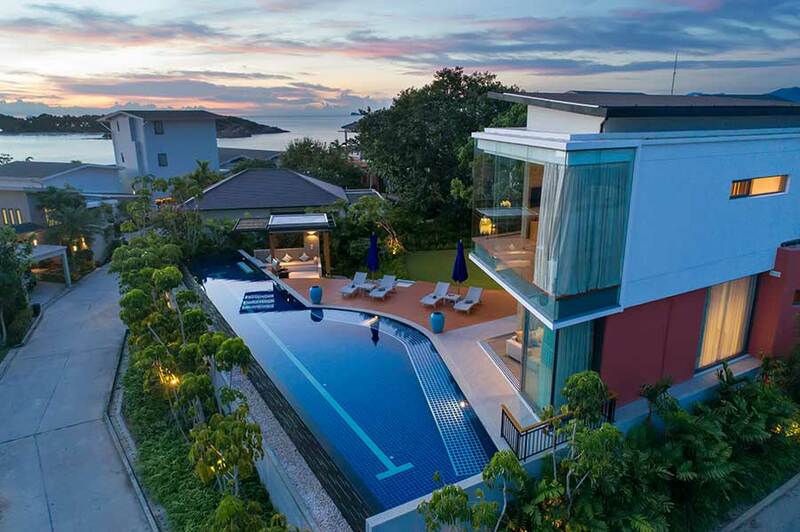 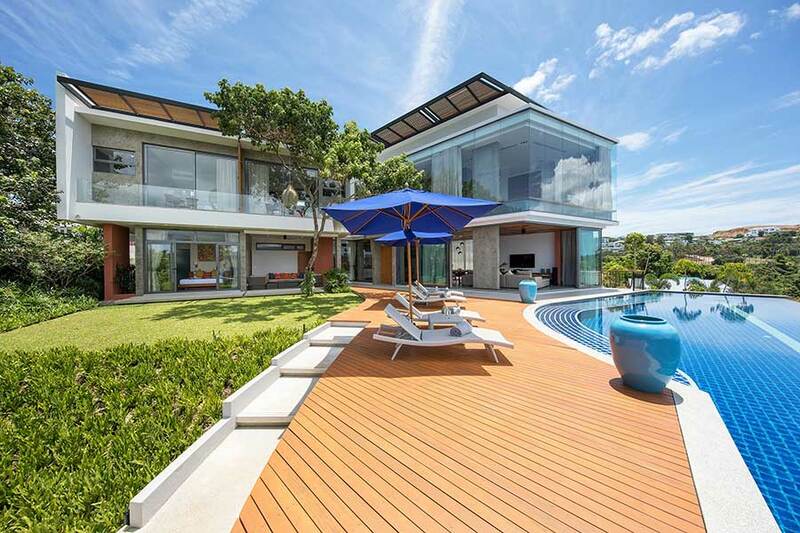 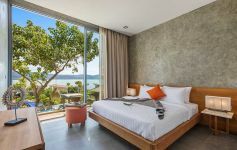 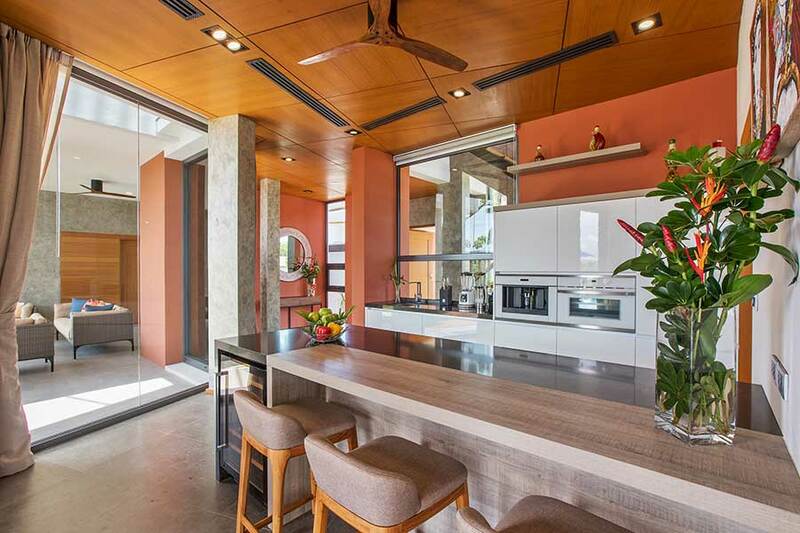 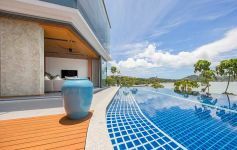 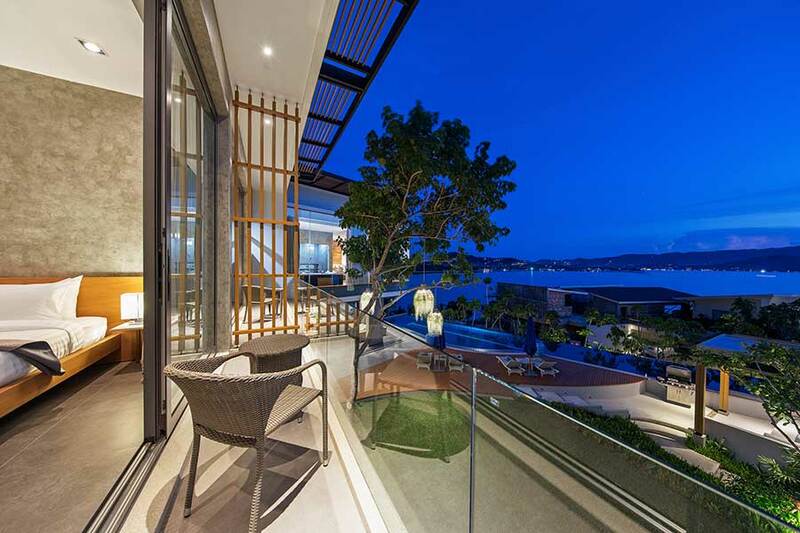 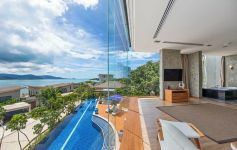 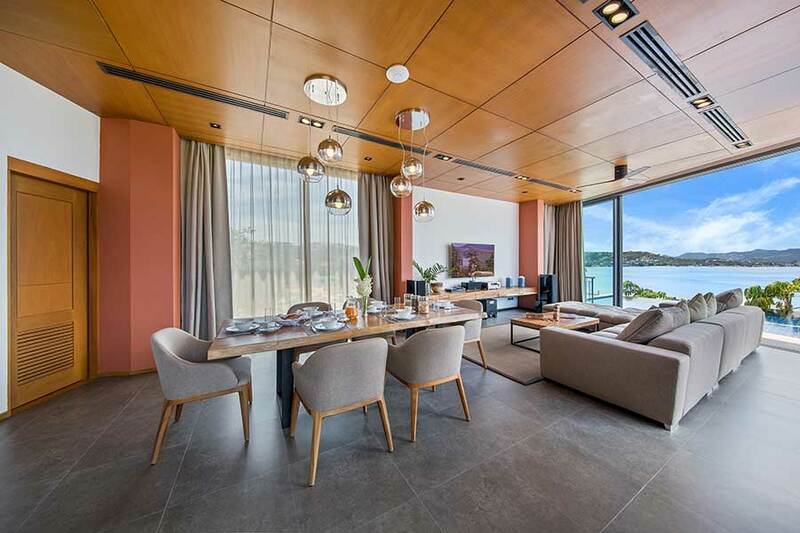 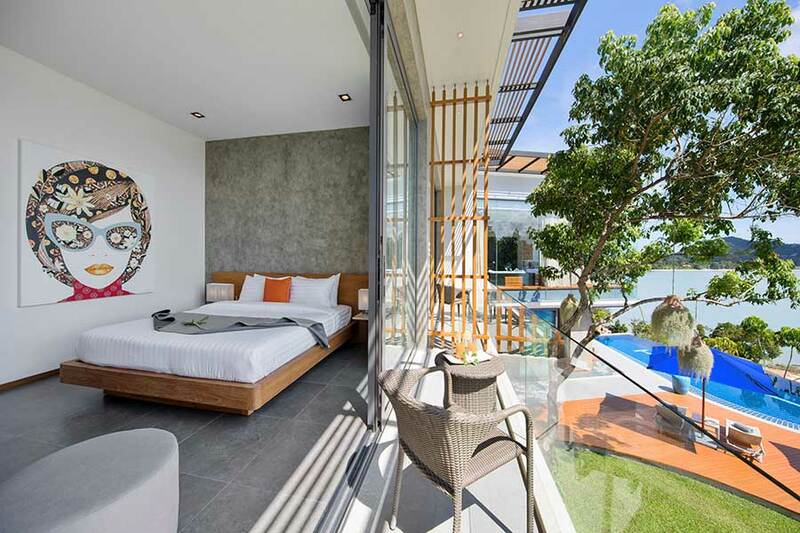 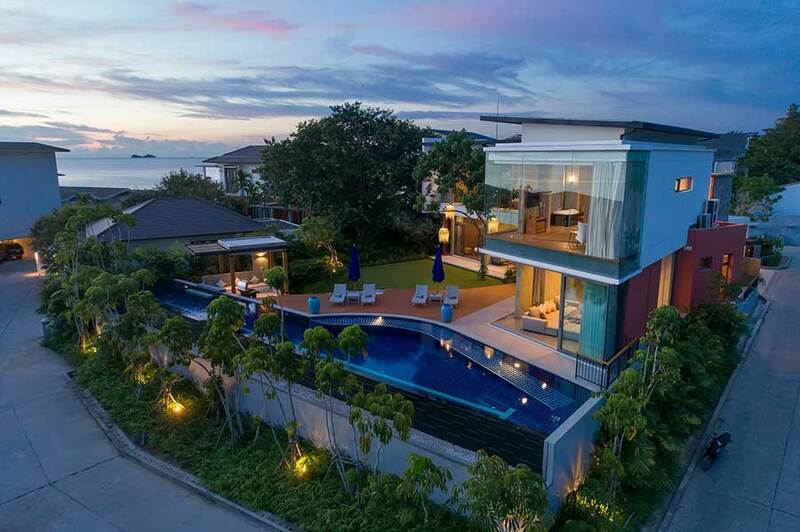 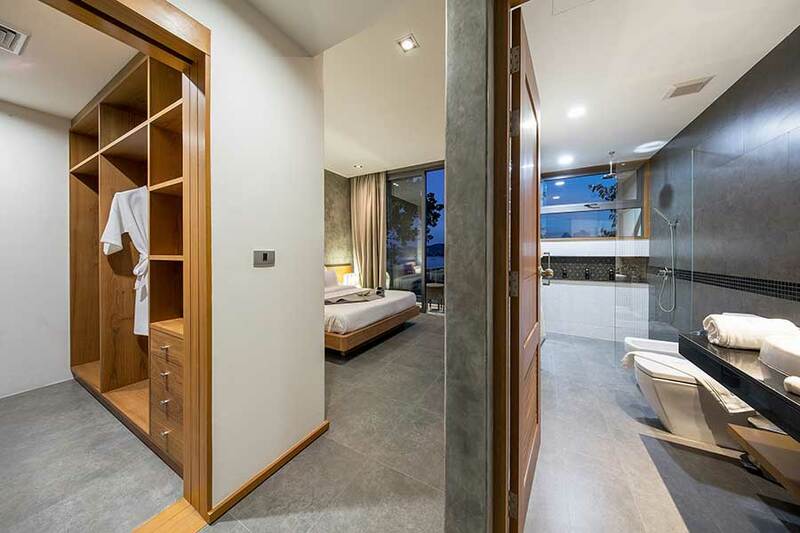 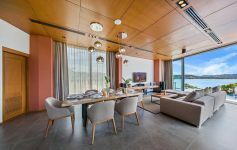 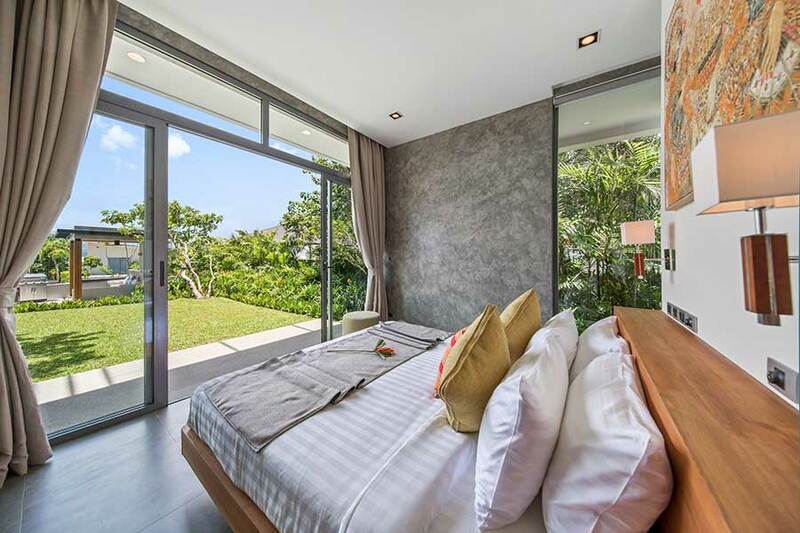 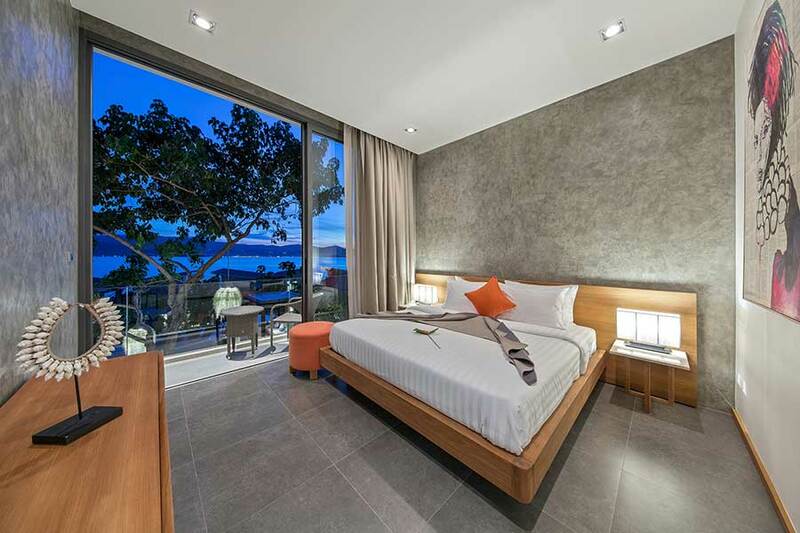 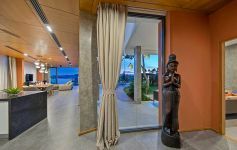 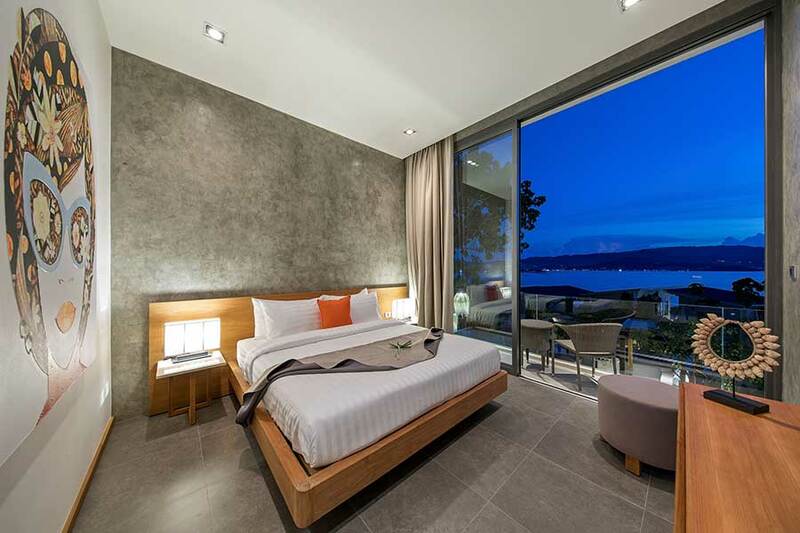 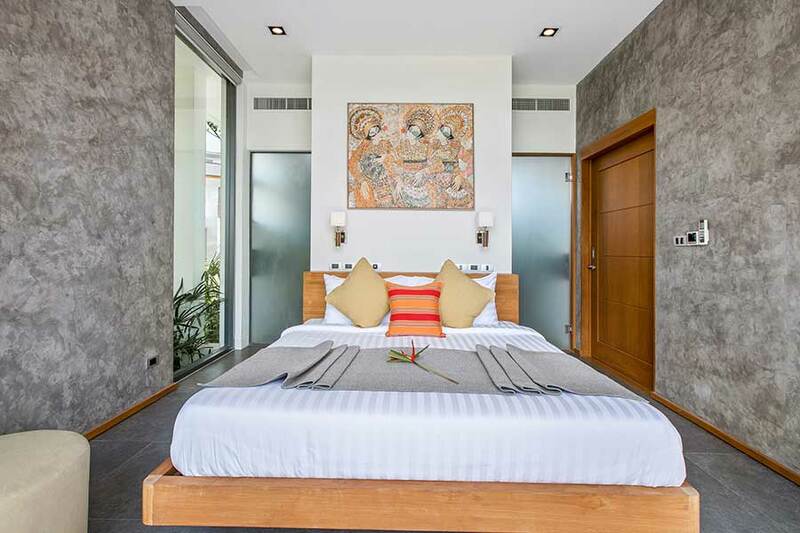 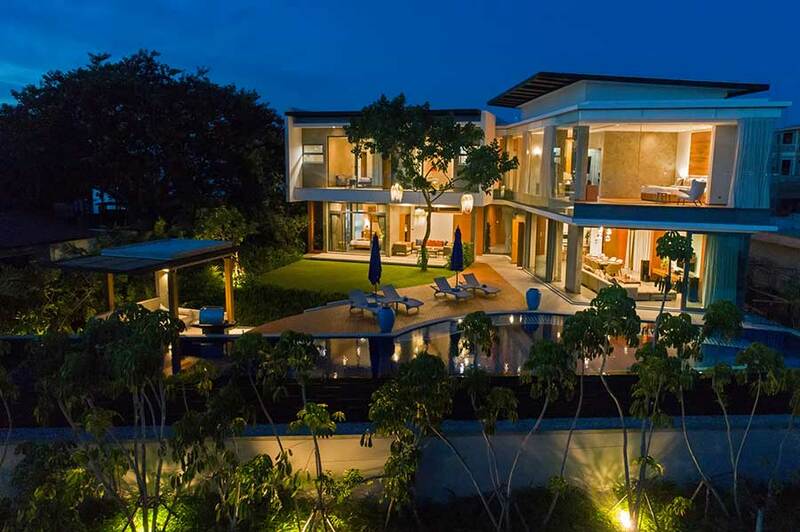 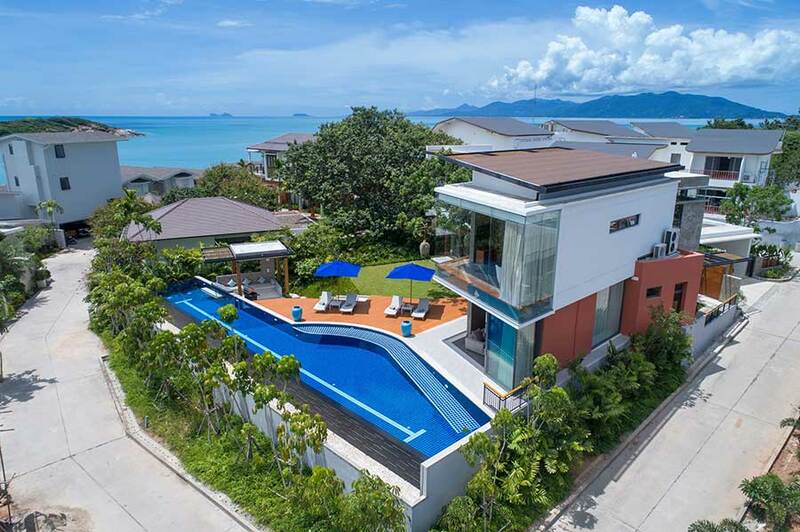 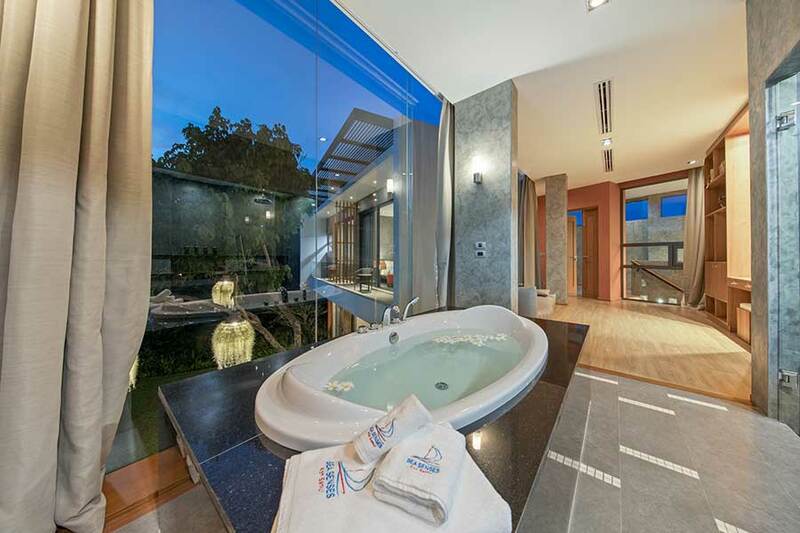 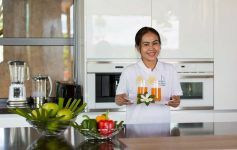 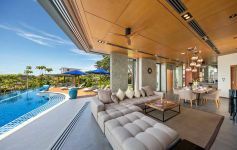 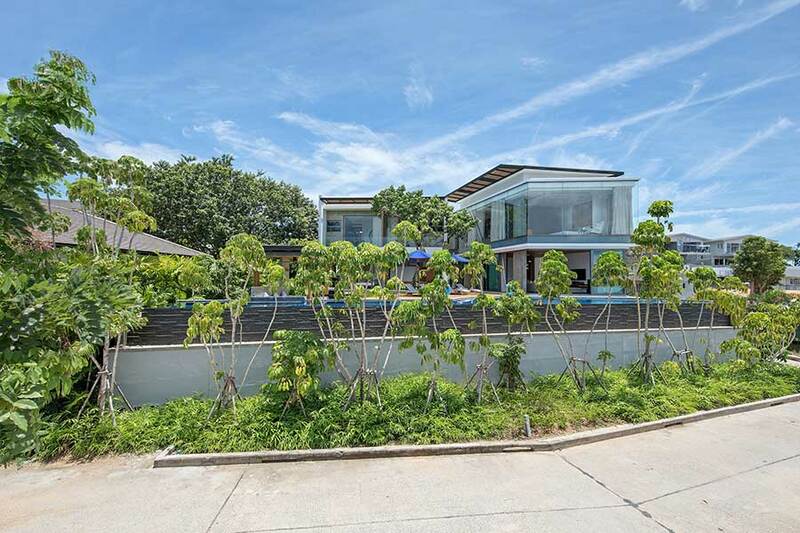 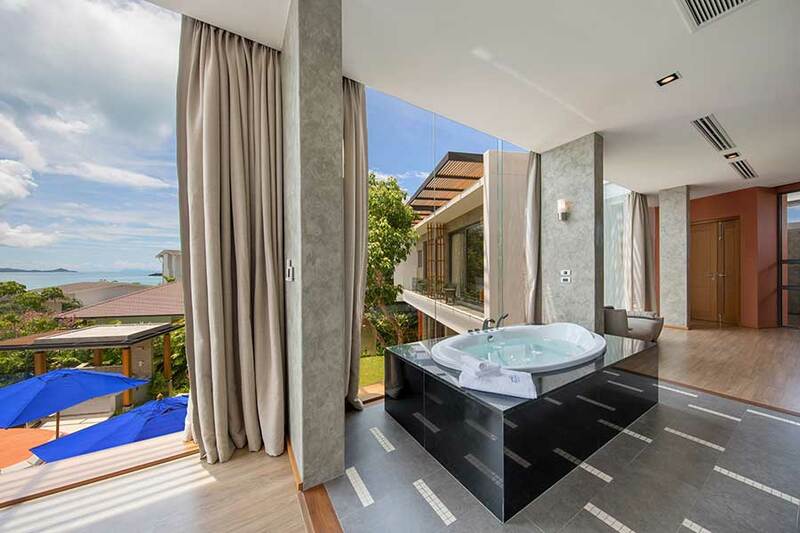 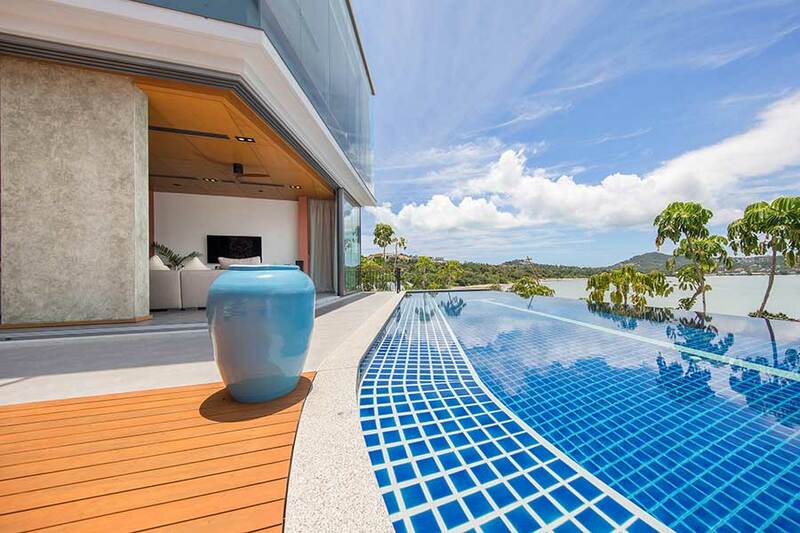 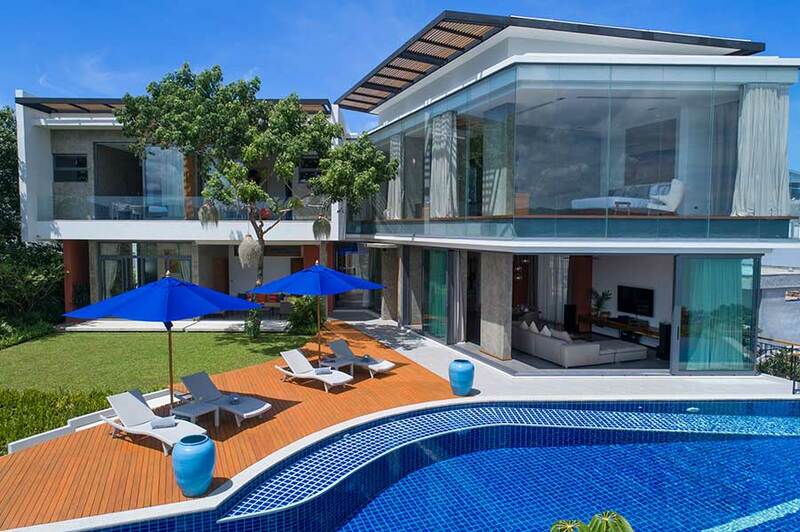 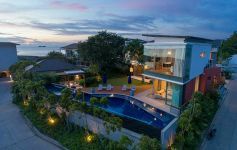 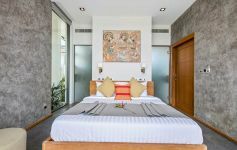 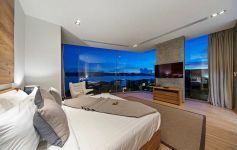 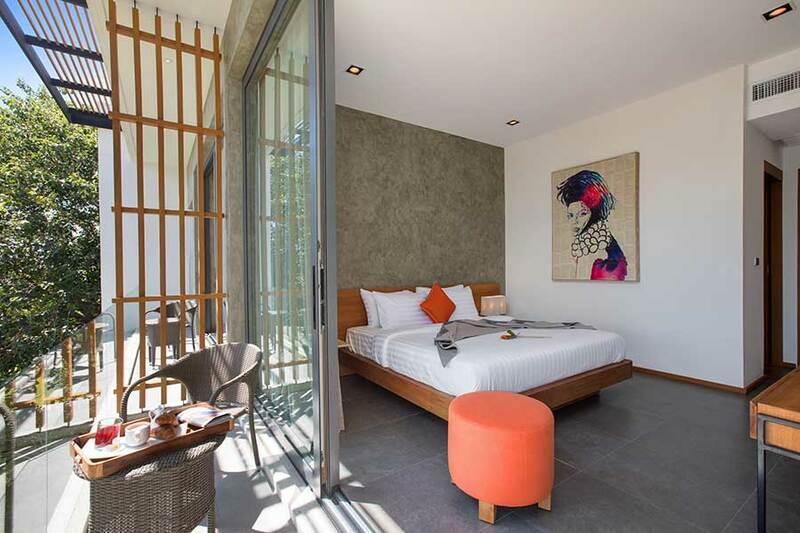 It's impressive glass walls on the west and south faces give absolute full panoramic views of Ban Rak Beach and Bay and beyond to Bo Phut Beach and the Gulf of Thailand. 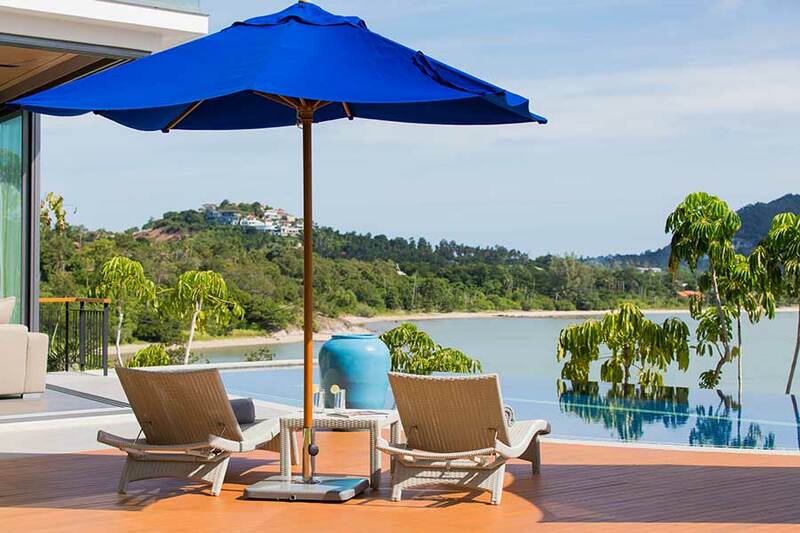 Back across to the island the panorama includes the Big Buddha temple complex, Samui Airport, and the hills of Bo Phut. 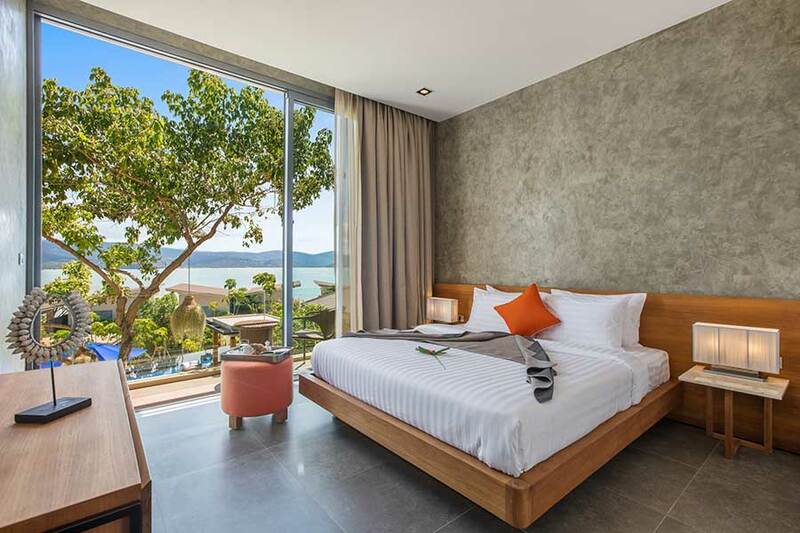 This is not to forget the picture-perfect tropical islands of Koh Som and its little neighbor Koh Lum Mu Noi sitting just off the tip of the peninsula. 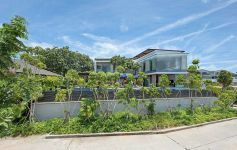 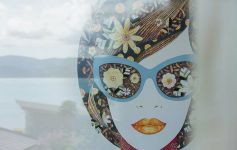 All of this and yet it is just 5-10 minutes to Ban Rak, Fisherman's Village and Choeng Mon Beach Village and only 15-20 minutes to Chaweng Beach – Samui's main commercial, entertainment and tourist centre. 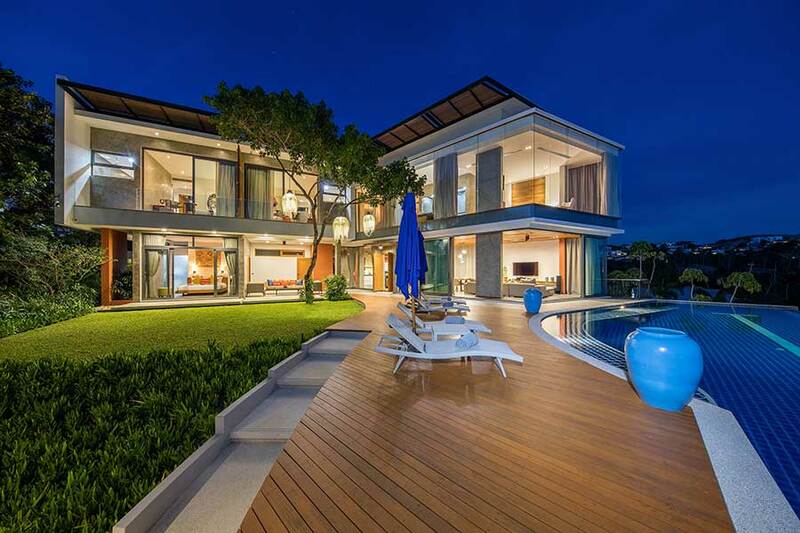 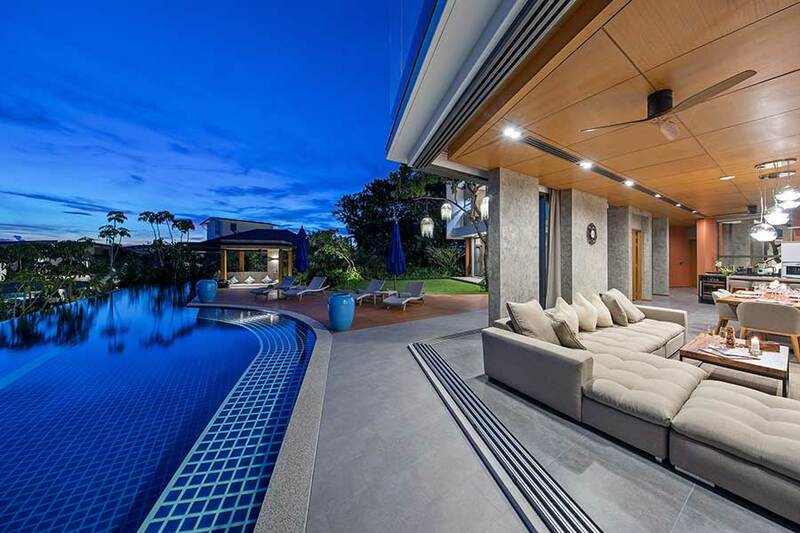 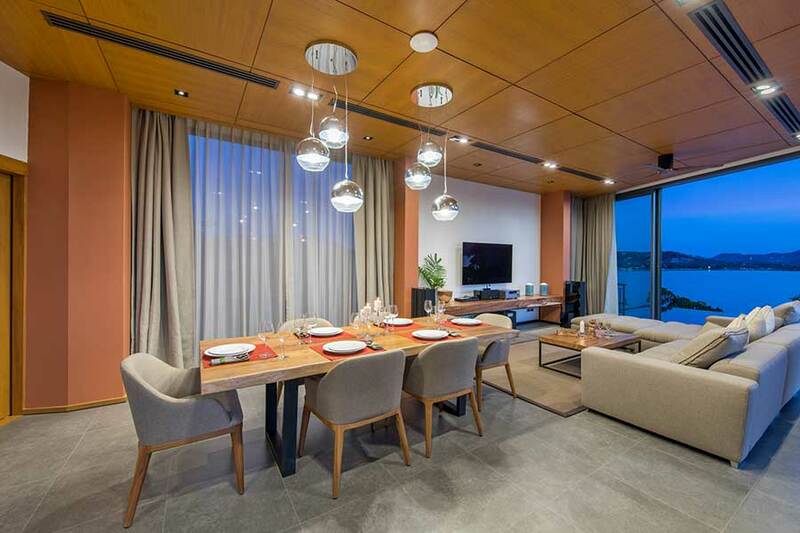 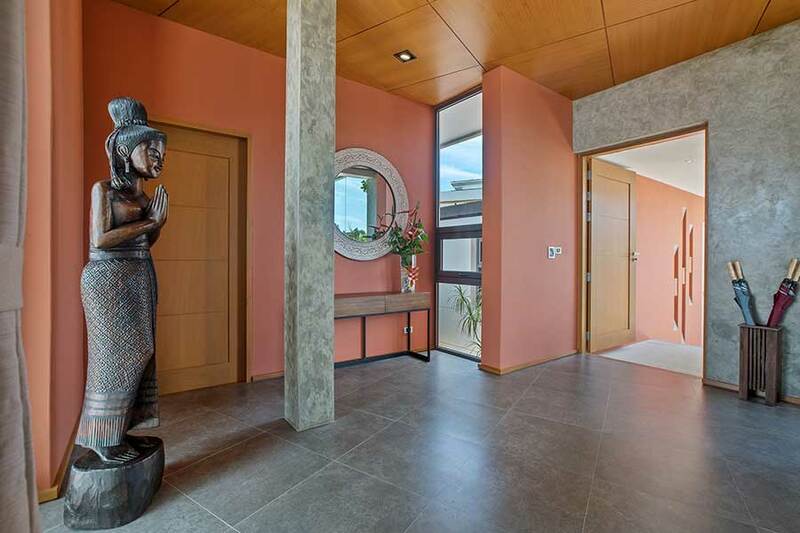 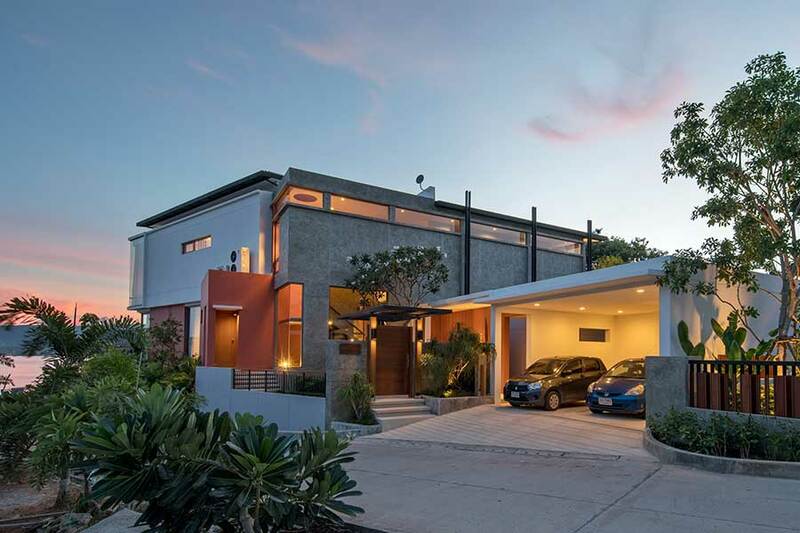 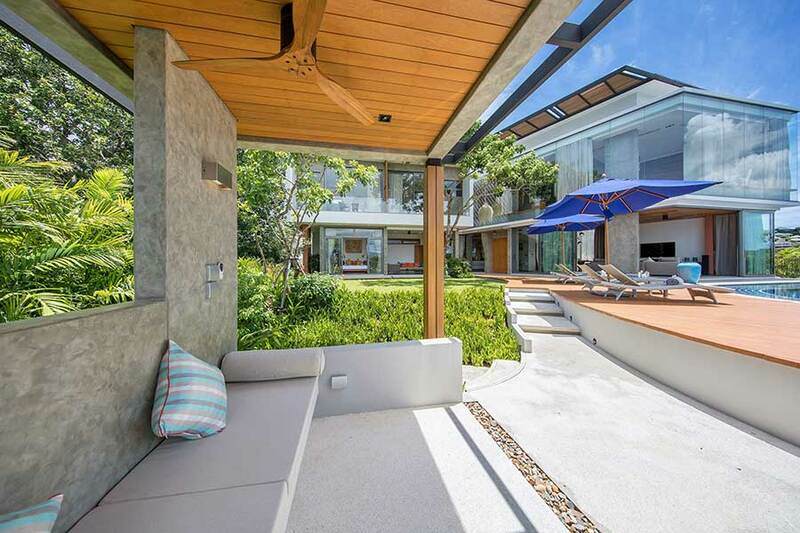 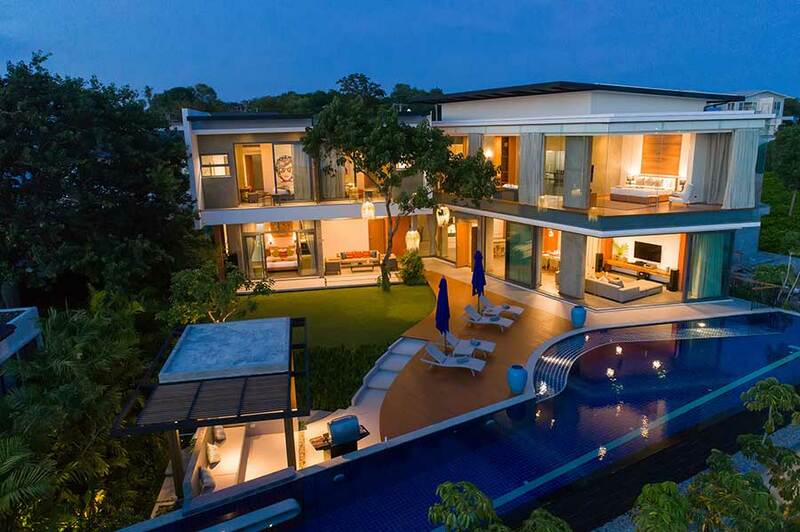 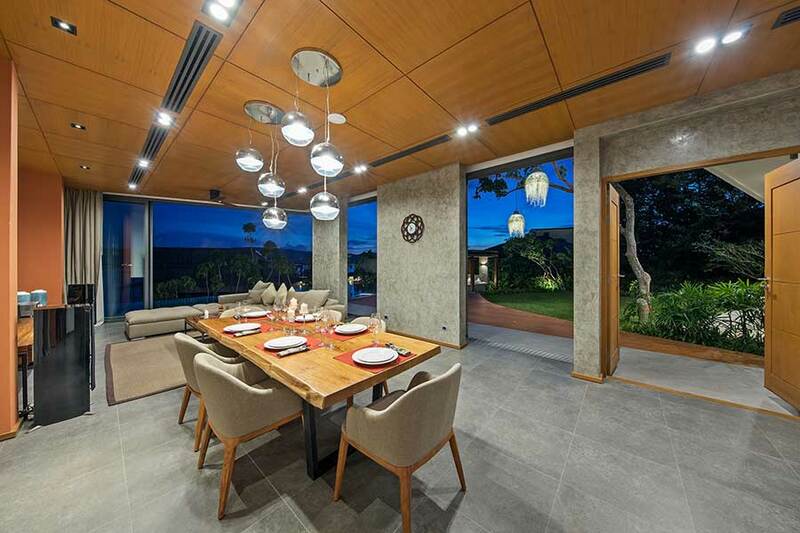 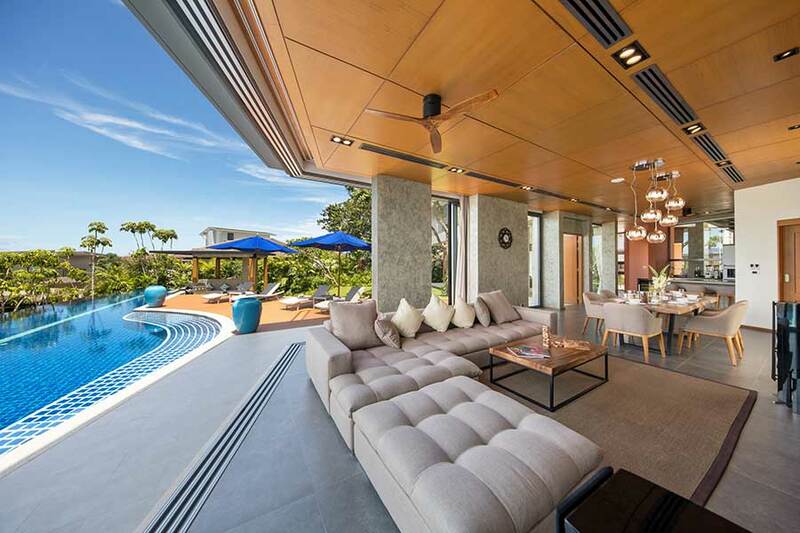 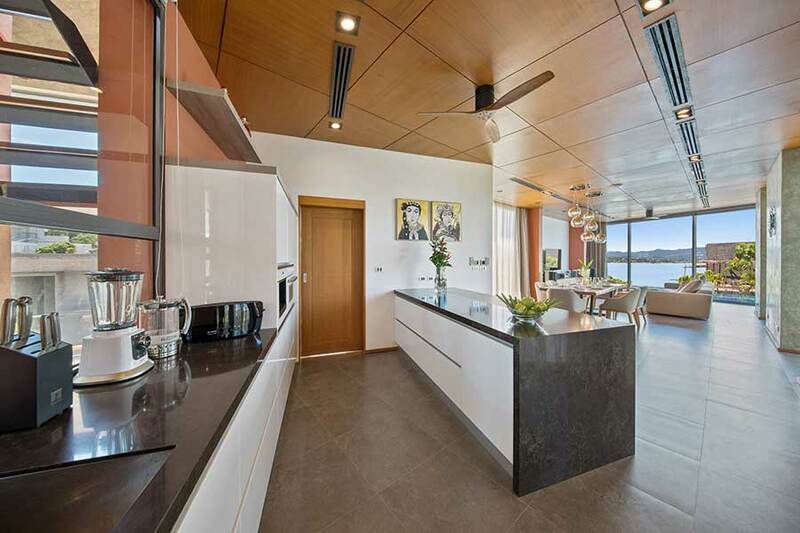 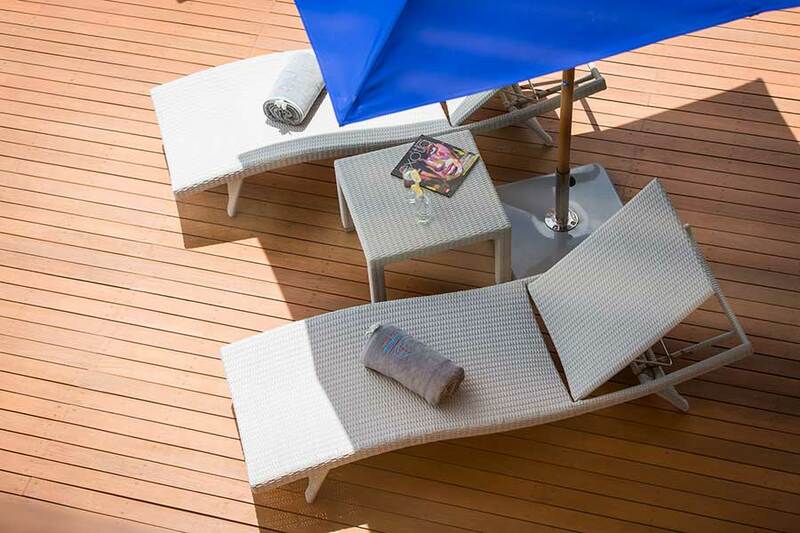 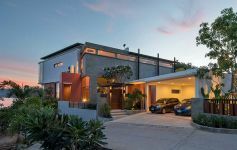 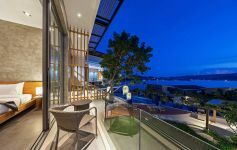 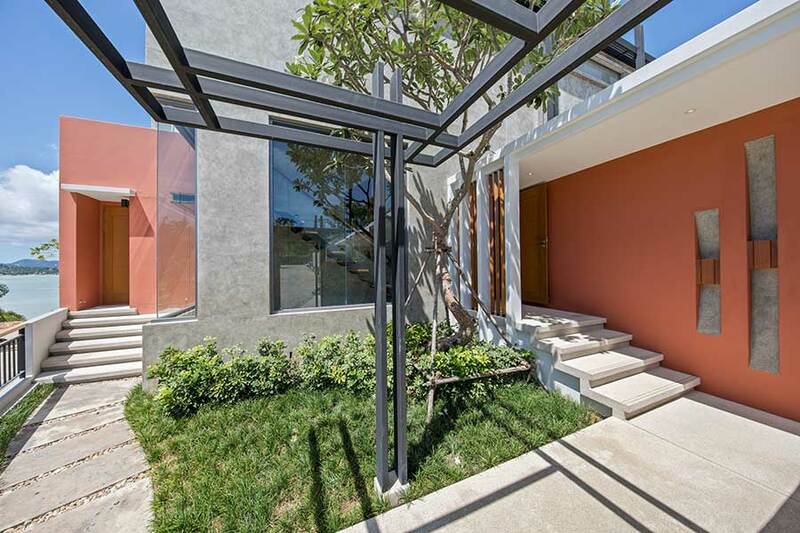 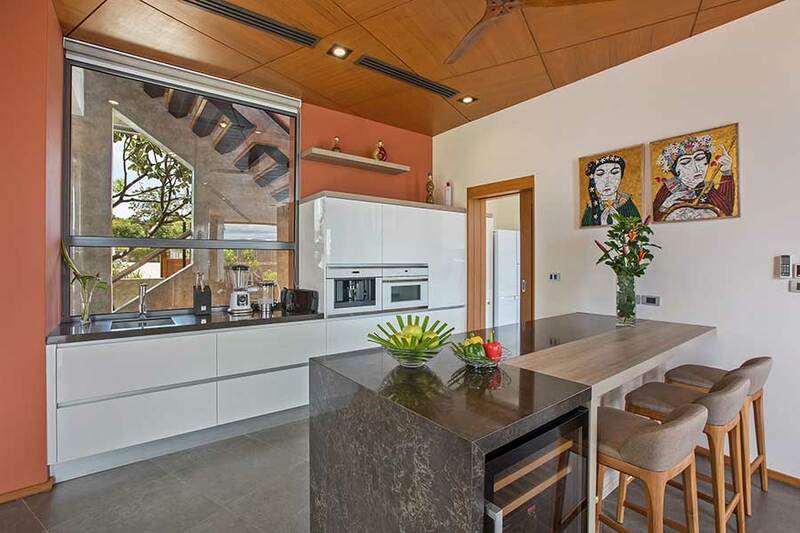 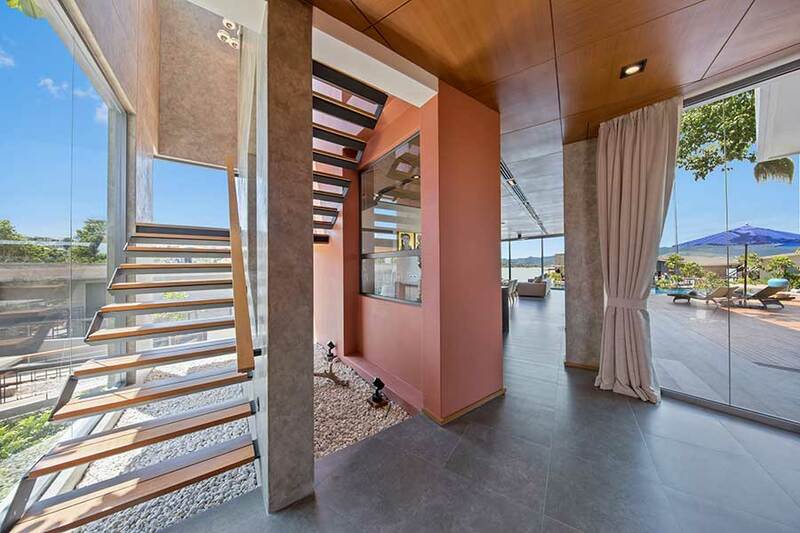 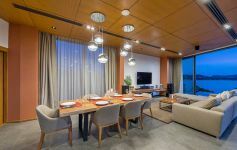 The fully air-conditioned two-level residence is of contemporary design. 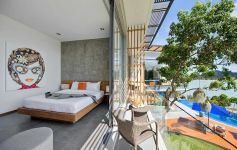 Elegant and sophisticated, styled with simple bold lines and with a restrained décor in muted browns, tans, creams, and greys the villa has a international contemporary urban ambience. 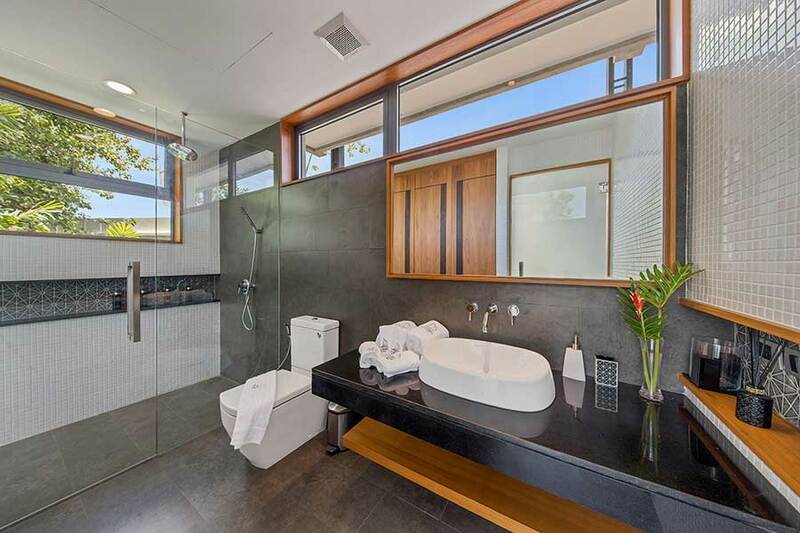 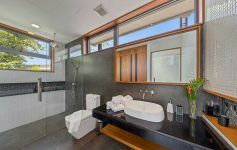 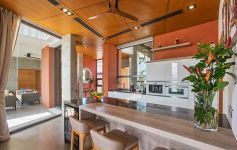 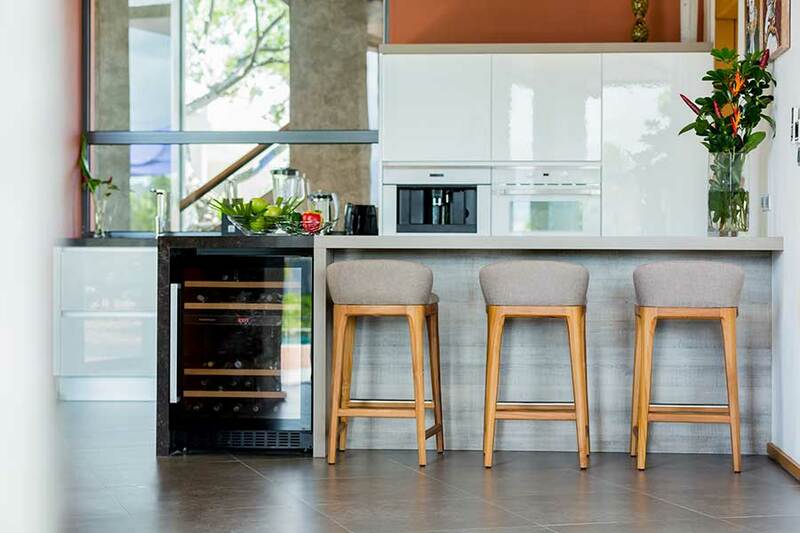 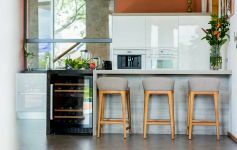 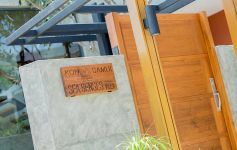 Timber, glass, modern tile surfaces and polished concrete finishes combine with the understated furnishings to create a relaxed restful atmosphere. 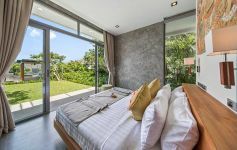 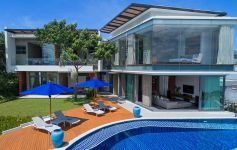 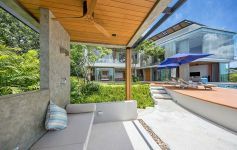 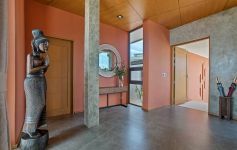 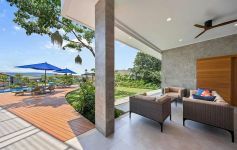 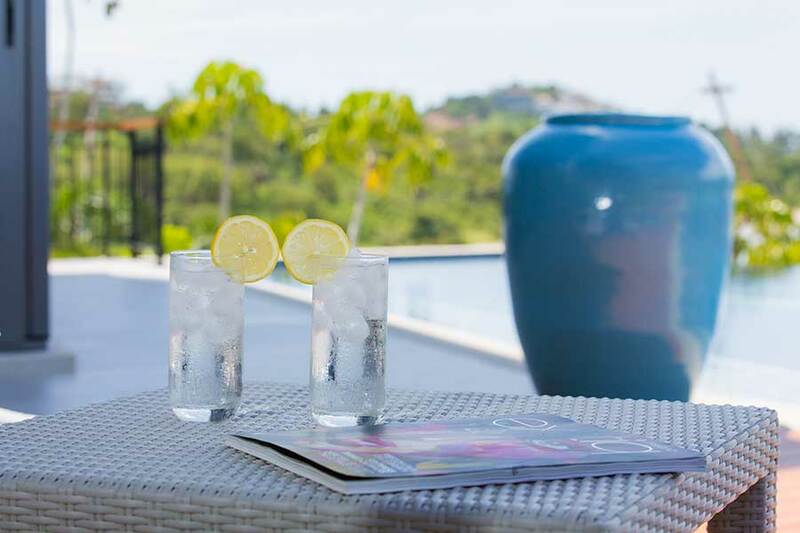 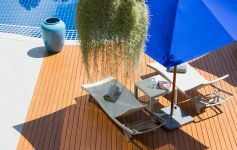 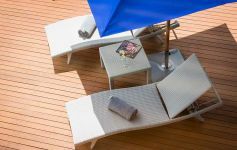 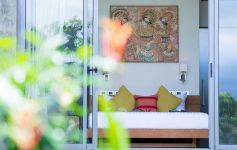 There are four en suite double bedrooms, three on the second level and one on the ground level, which opens on to the landscaped tropical garden. 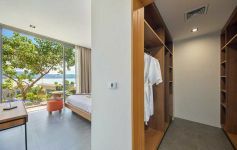 All bedrooms are spacious with large bathrooms and walk in wardrobes finished to the highest standard. 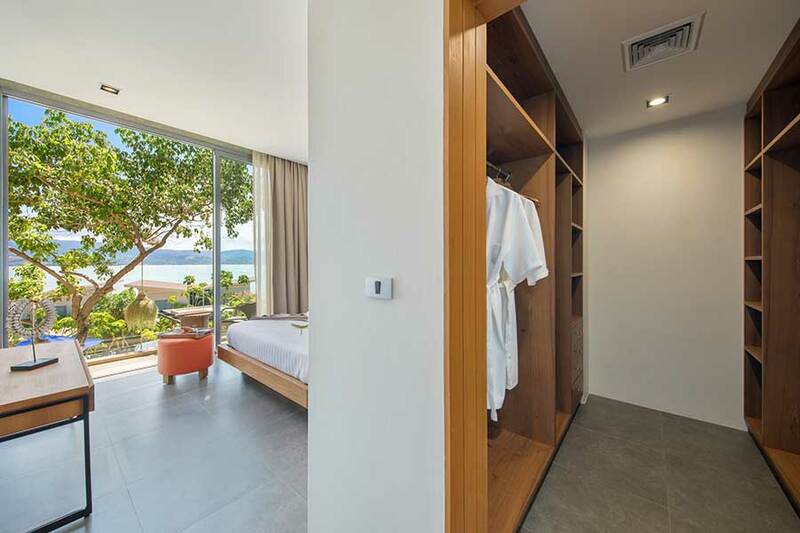 Two of the second level bedrooms have balconies. 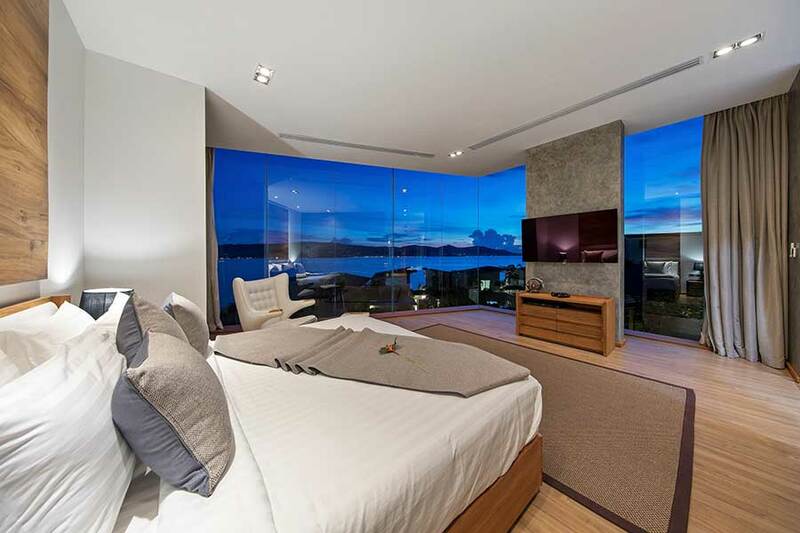 The main bedroom is something to behold – huge does not describe it. 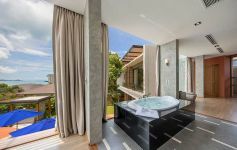 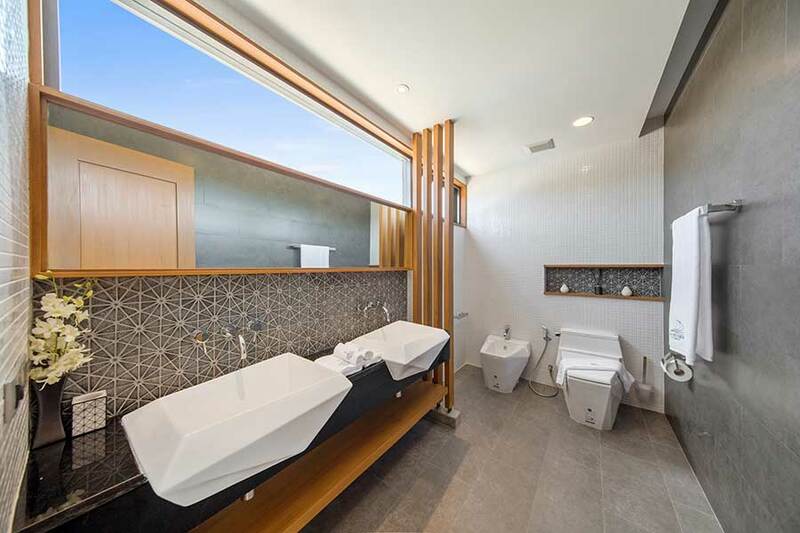 With full panoramic views as a back drop this sprawling room includes a king-sized bed, a large bathroom in three parts - wash room and toilet, shower for two and bath-tub area; and truly large dressing and wardrobe room is something to write home about. 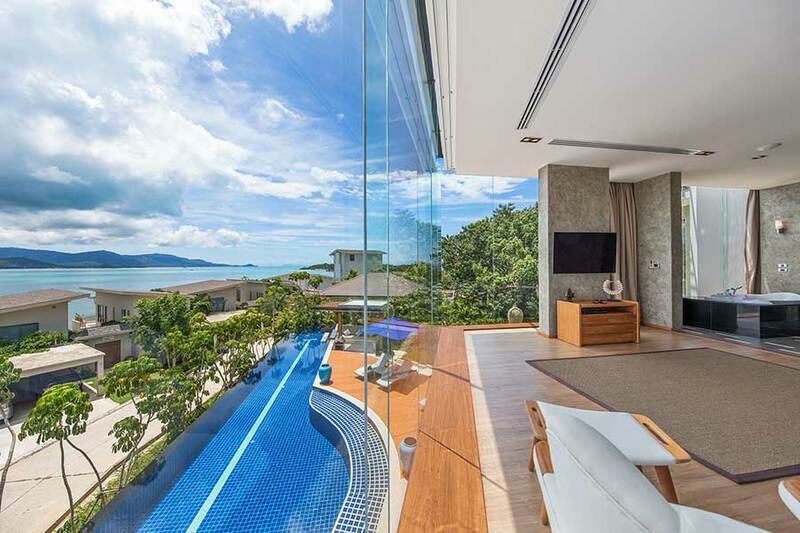 You may never leave. 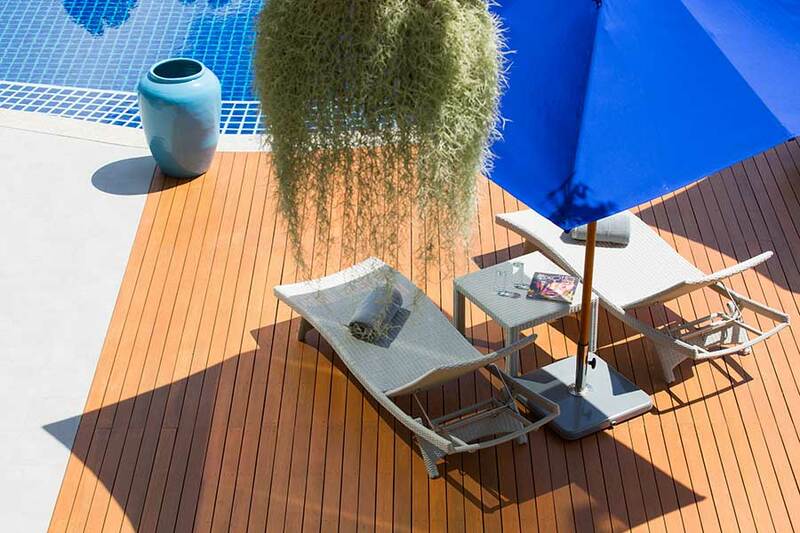 On the ground floor, the large open plan living space with kitchen dining and lounge opens on to covered and open deck areas and good-sized lawn, for playtime, a landscaped garden and a generous 25-meter pool, ideal for laps – in fact it is one of the longest private pools on the island. 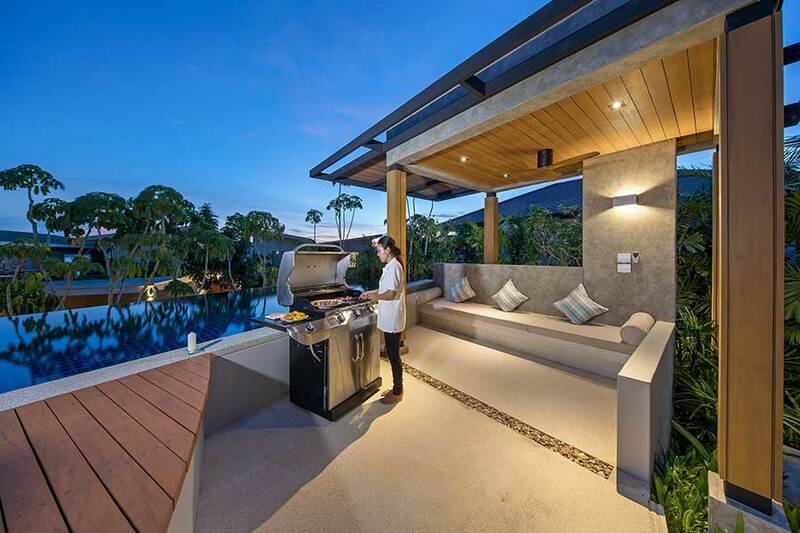 There is a barbecue and seating area in the covered Sala beside the pool where you can sit and enjoy a cocktail or few, in or out of the water. 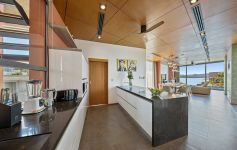 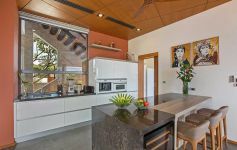 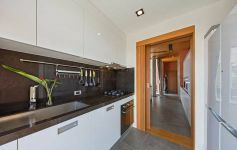 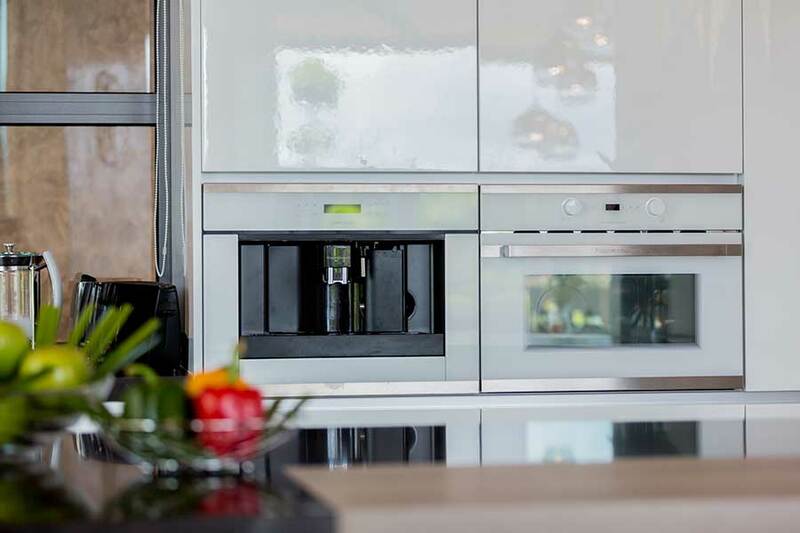 Back in the living space the sleek modern kitchen is for entertaining - a separate preparation and cooking kitchen is located just through a door – both are fitted with top of the range stylish appliances. 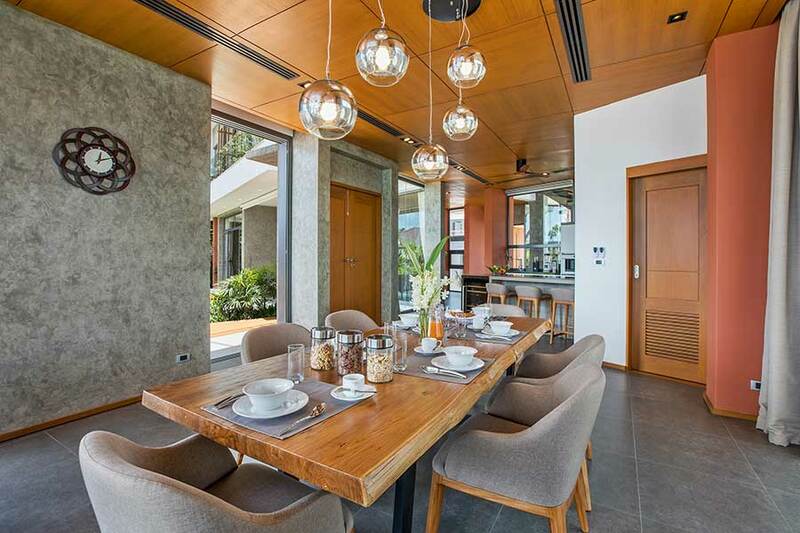 The wood table and comfortable upholstered dining chairs will seat eight. 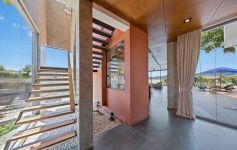 The large floor to ceiling glass walls, the outstanding feature of this property, not only provide full views from the heavens back down to earth, but also add a lightness to the interiors which will be bright even on the cloudiest days. 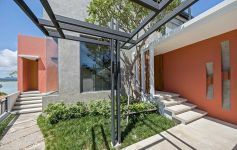 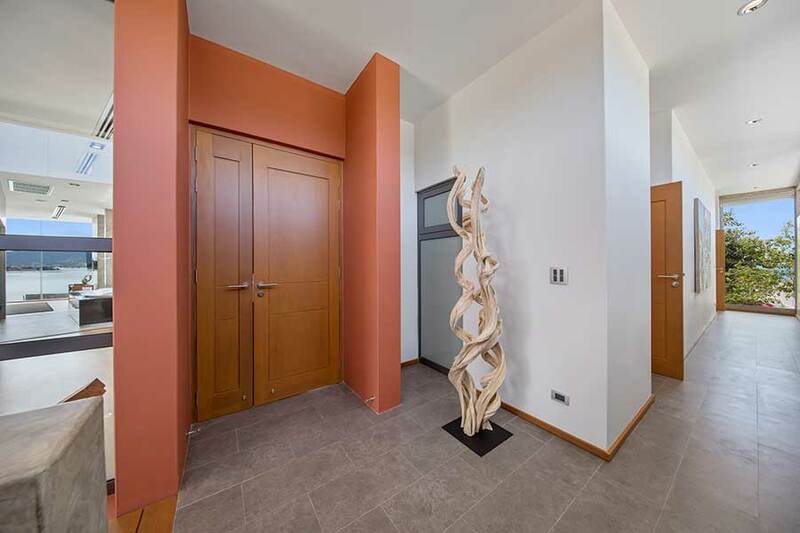 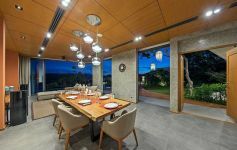 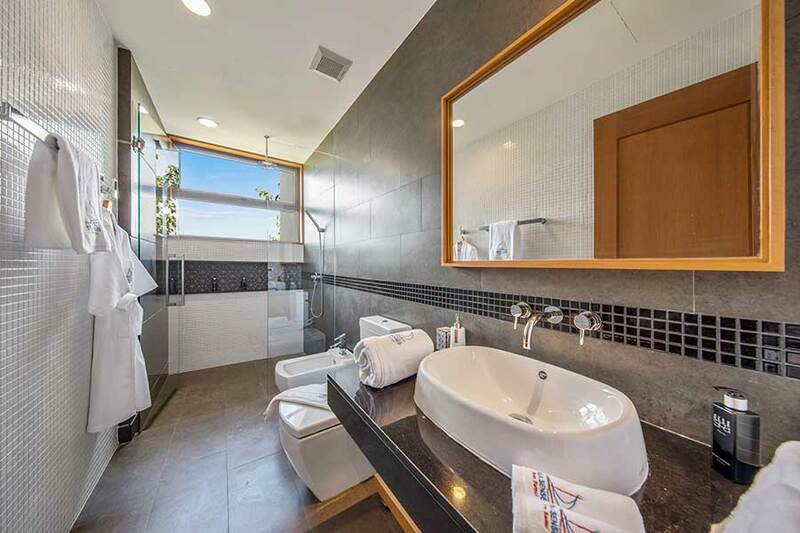 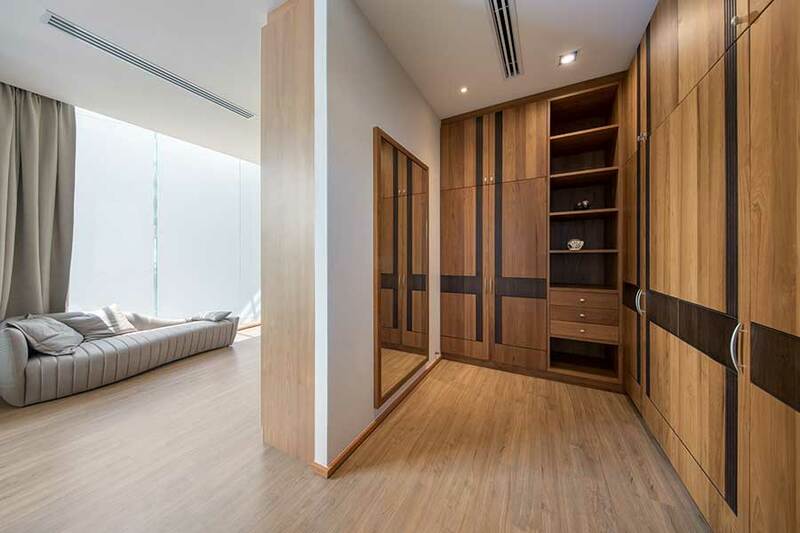 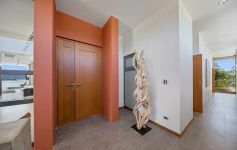 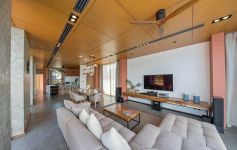 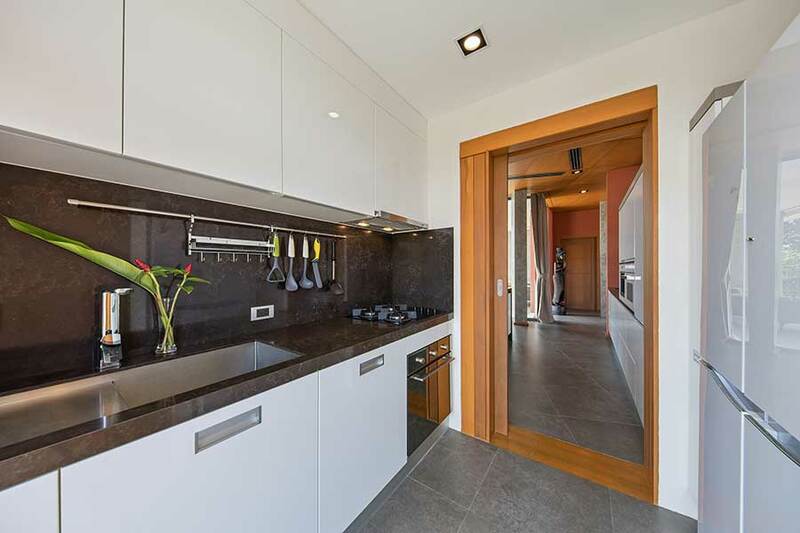 The property has an internal floor area of 480 sqm with external living and functional spaces of 328 sqm, a total built floor area of 808 sqm. 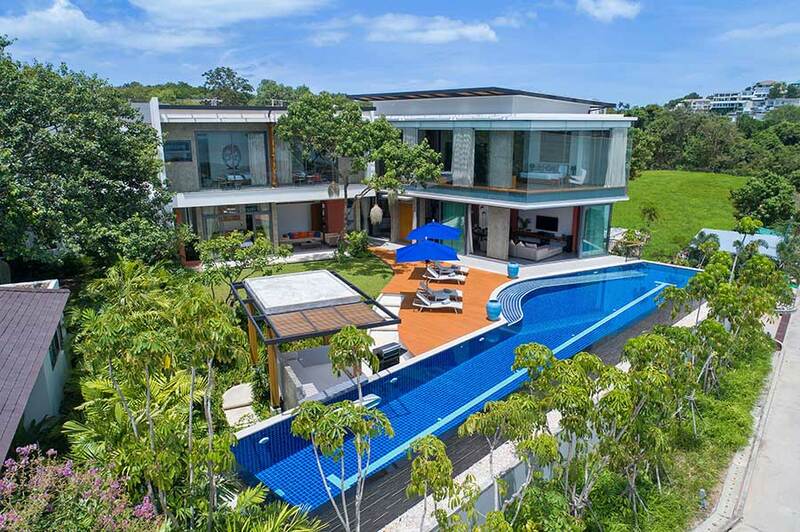 The land size totals and impressive 1,000 sqm. 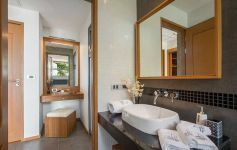 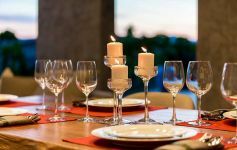 There is live in staff at the residence with their own staff quarters, covered double car parking, and ample storage areas well located around the property. 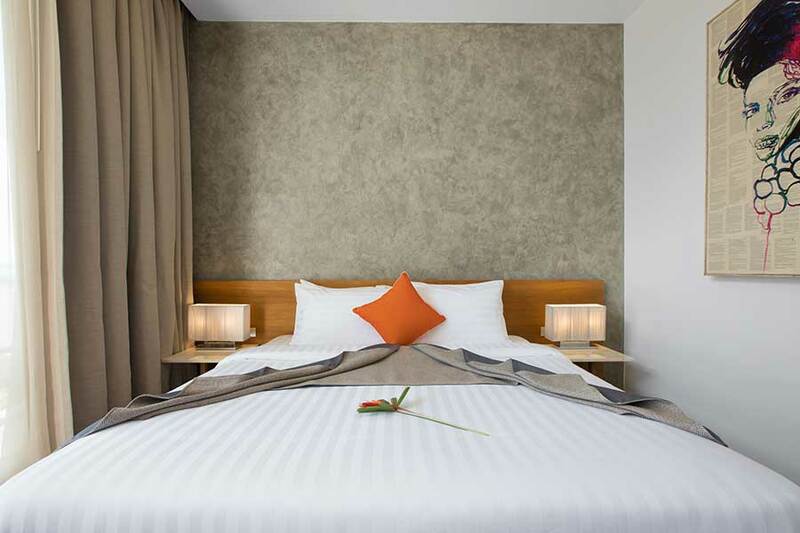 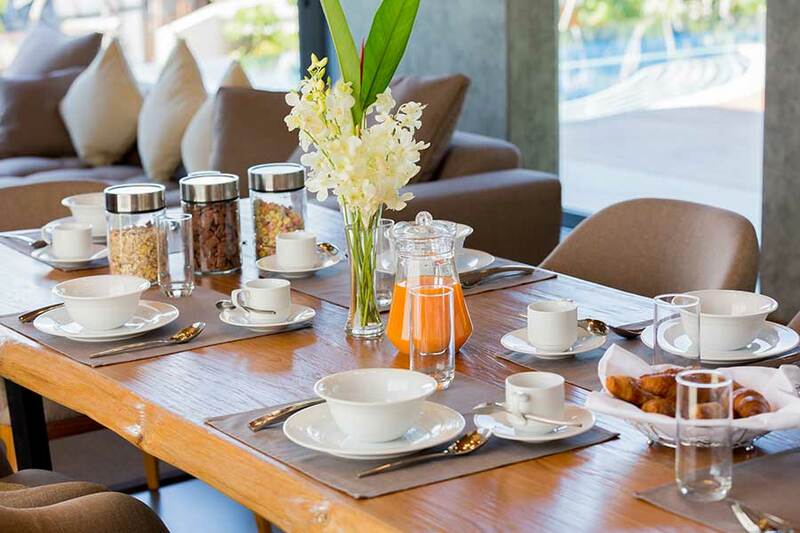 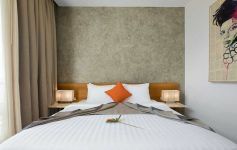 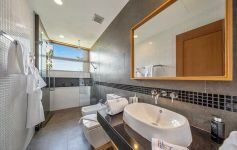 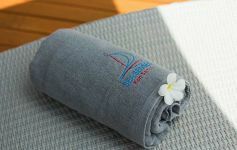 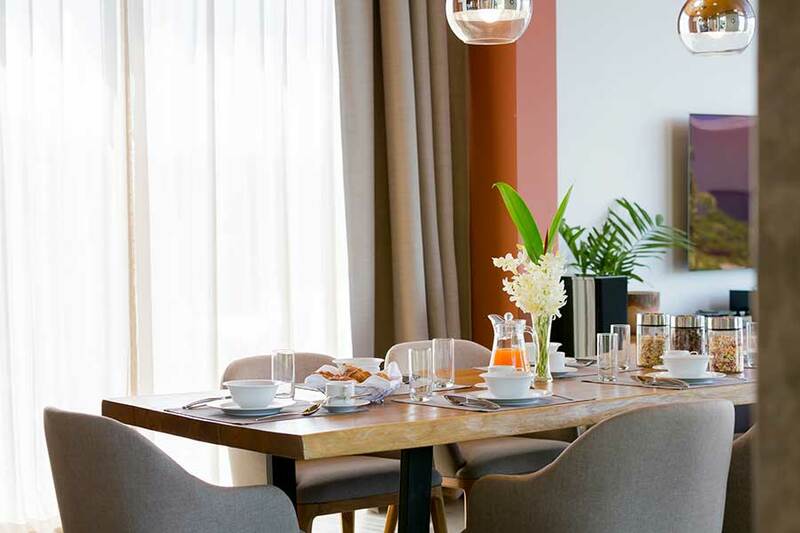 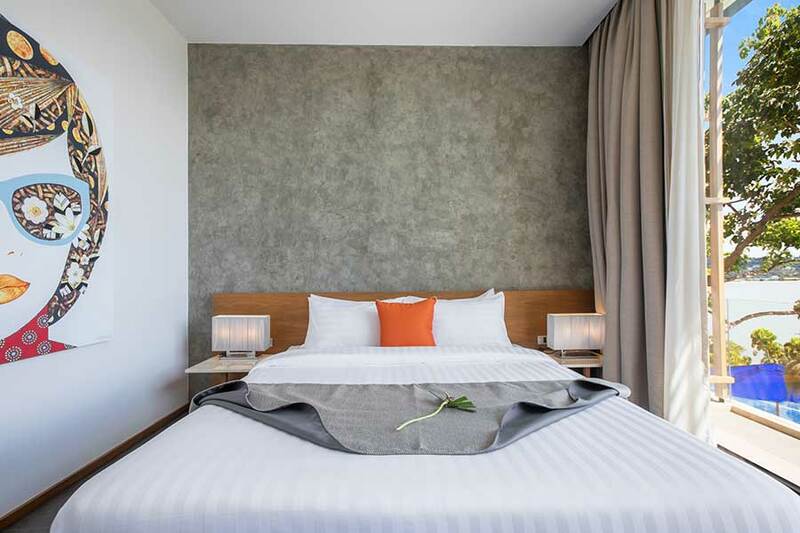 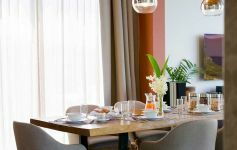 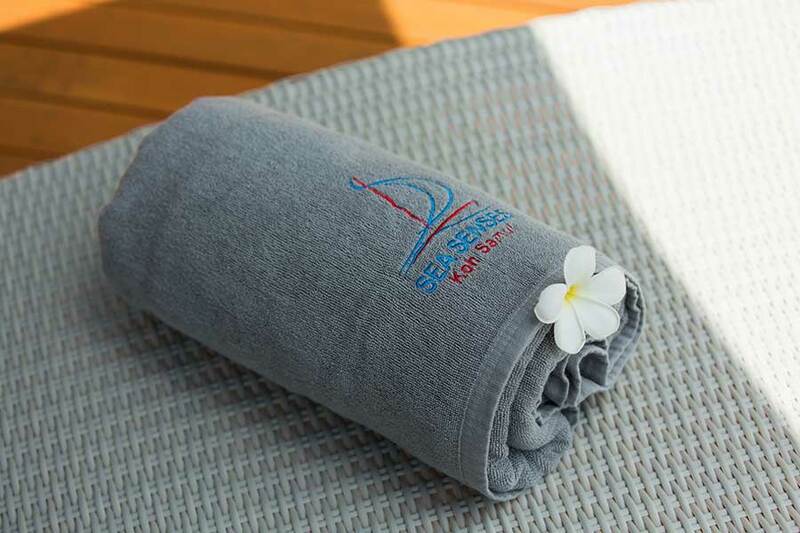 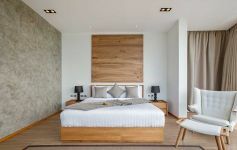 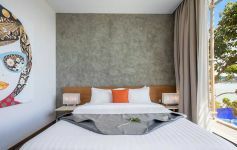 Continental breakfast, airport transfer, daily cleaning, changing of bed sheets and towels every 3 days (or on request), electricity and water is be included in the daily rate. 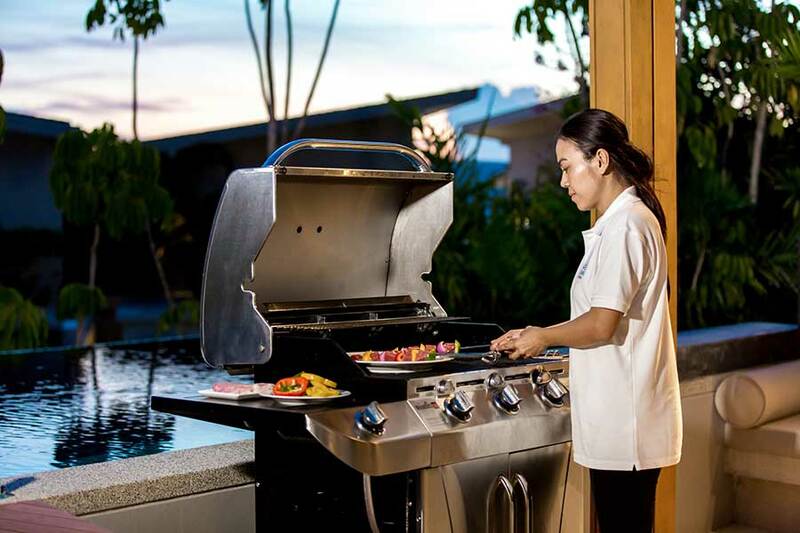 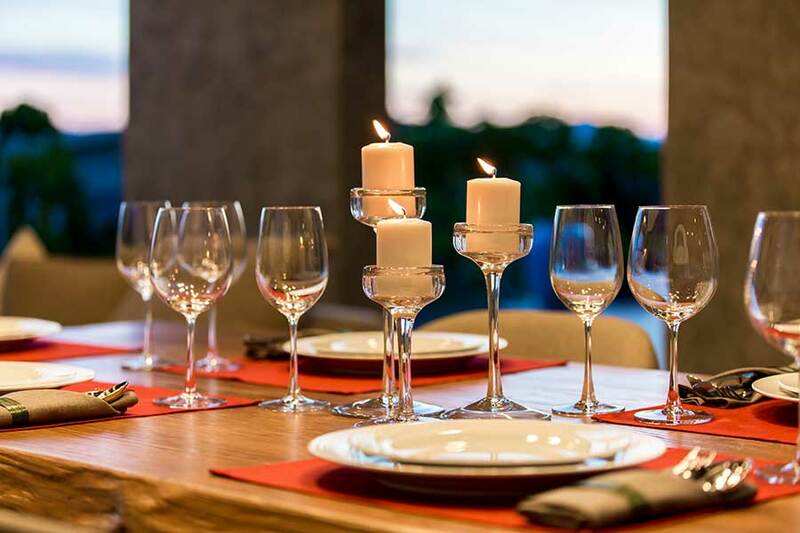 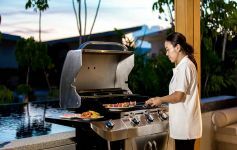 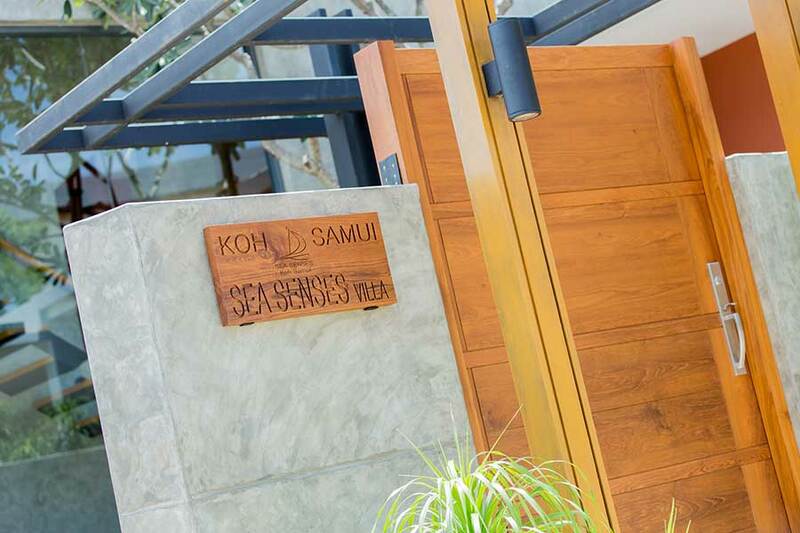 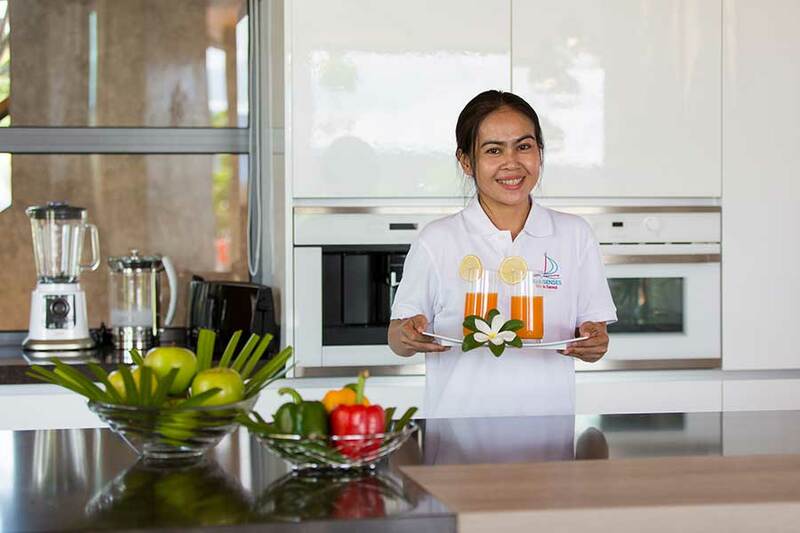 Sea Senses Team will be happy to arrange private chef, BBQ, organize events and weddings on your request.